A powerful tradition of critical cartography unites a variety of selectively sourced metadata in a single frame of reference that transforms our own knowledge of space: their continuity and coherence orient viewers not only to their content, but to the world’s inter-relationships, and to make concrete knowledge claims about their content. Although maps usually frame questions about the inhabited world or the world’s inhabitation, the below map of the distribution of earthquake epicenters offers a framework to understand relations among events by presenting their meaning in a geographic framework, flattening temporal change to create new meaning about their relations through a framework of spatial expanse. Actualities are considerably removed from most maps, which present records of space as opposed to spatial experiences. But the way that maps record a cumulative record of events for their viewer is a neat intellectual trick. For rather than describing the ways things are, the synthesis that the mapper performs culls the products of changes over time and then transform multiple readings into a continuous record whose comprehensive surface is readily scanned. The trick of shaping a visually recognizable synthesis of spatial metadata goes back to how Abraham Ortelius fused nautical charts and terrestrial cartography into pictorial renderings of space. Ortelius effectively united a set of multiple frameworks to process space in a uniform register of image and text, giving its surface comprehensive claims expanded in the first printed atlas of 1572. 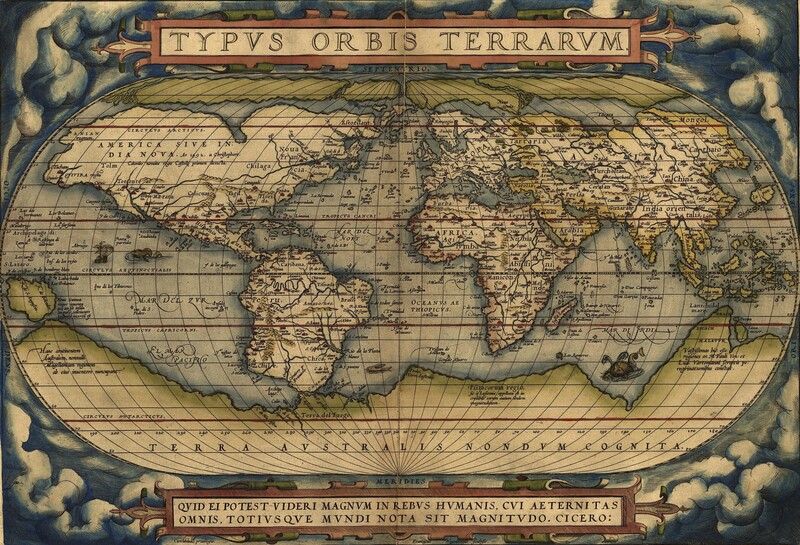 Both Ortelius’ innovative collection of maps in his Theatrum and his elegantly bounded oval “Typus Orbis Terrarum,” shown below, created legible records that imitated reader’s cognitive understanding of place in landscapes: engraved maps were printed, but the carefully hand-colored image trumped existing maps by artifice and content alike. Ortelius’ totalizing ambition to map the inhabited world’s surface in its entirety led him to create a variety of frameworks to interpret the relations of space: whereas the genre of nautical maps and island books were used in sea travel, terrestrial maps provided a basis to describe cities’ relations. By uniting the content of marine maps of nautical expanse, which embraced maps of islands and coastlines, with the maps of terrestrial regions, Ortelius’ maps united multiple frameworks to process terrestrial inter-relations. 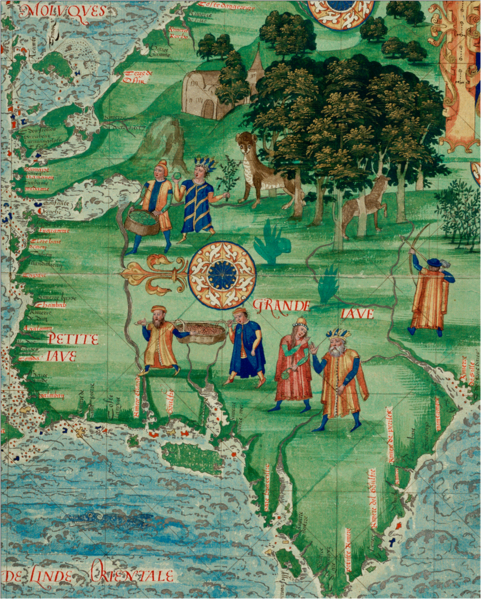 Rather than being about best practices alone, Ortelius synthesized maps in an image based on the techniques and critical practices of a tradition of close critical reading. 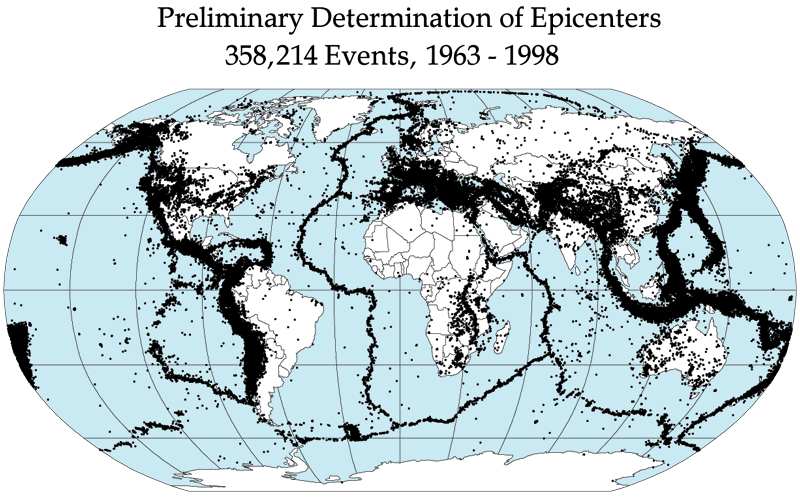 The Ortelian format of mapping created a new paradigm for world-mapping, whose influence can be readily seen on the above map of the distribution of earthquake epicenters, for unifying aggregate information in a dynamically readable form. The staying power of combining different frameworks for understanding expanse created a set of best practices for synthesizing and ordering information for readers, but also a new standard for ordering a sort of common book of spatial knowledge and of the “known world”–combining a variety of frameworks by which space could be understood or rendered. The map that aggregates earthquake epicenters stands at something like the culmination of an Ortelian tradition, that used the map something like a screen to project a sedimentation of past events. Such a combination of past events on a spatial screen was possible because the screen was itself, as a geomorphological terms, seen as timeless. It’s not a coincidence that the map was first linked to historical pedagogy by the early modern historian Jean Bodin, even before Ortelius, for the critical assembly of a mapped space is a selective notation of past events from settlements to shifting aggregates and boundary lines. Ortelius himself treated maps as a sort of sedimentation by which to understand the configuration of the present, and a basis to process the spatial relations among apparently disconnected events, in maps of St. Paul’s pilgrimage of or of the ancient Roman Empire’s expanse. We’ve continued to use maps as tools to fabricate the association among the occurrences that might seem privileged events, placing them in the spatial context that invests them with a syntactical meaning from which certain patterns emerge–or illuminating the difficulty of knitting events in associations that we might want to better describe. Recent infomaps continue to exploit ways of using metadata to describe a network that can highlight potential dangers of political divides in our national landscape. The above cartogram synthesized metadata in a compelling point of reference for understanding where we go from here, or what the make-up of the country was that first elected Barack Obama as president. That said, it is a consensus builder, as much as a way to process a political divide. If Ortelius pointedly united contrasting frameworks to judge space of nautical and terrestrial form, one can’t help be shocked by the dramatic reduction of spatial frameworks to understand local distributions of place in Google Maps. Shifting tone and subject, there is the worry that the extreme personalization of the metadata in the map-services promised by Google Maps engines is, on the other hand, conceive of the map’s surface less as consensus builder than a sort of personalized image of our relation to expanse–as well as a select synthesis of spatial understandings form ostensibly like-minded folks, or at least folks defining themselves by similar tastes. Rather than preparing a common text for all users, they inaugurate a sense of the map whose selective criteria are determined in alignment with consumer preferences or web-site searches culled from where our search engines might happen to have taken us–somewhat like a hacked TripTik posing for a synthetic image of shared spatial consensus. The infinitude of customized maps that can be created from mapping web-history onto spatial locations is a disruption or atomization of the map as a printed medium, allowing cartographical selectivity based not on sharing information but customizing spatial records to preferences that Google will determine. The way that Google offers to filter our interest in the world in an apparently benign list of sites of ranked relevance is scary because it removes agency from the reading of the map, and an abandoning of uniform criteria of cartographical selection. The record that is created is fashioned from our past choices, to be sure, but as they are refracted through the prism of web-searches, and mediated by Google Maps. The maps is less a surface that can be explored–eloquently typified for early Christians by Cassiodorus’ advice in De institutionem divinarum letterarum that monks read books geography to perform travels their vows did not allow, and to “visit with one’s mind all those places to which were visited with great difficulties by innumerable pilgrimages”–than a surface one is prodded to explore by a scan of the cache of one’s web history. 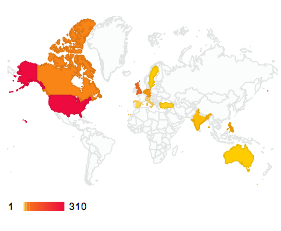 Now, it is useful to know what sort of readers one attracts; the resulting map foregrounds English-language using/reading countries mirroring an Empire that spread from the British island located at the map’s center. Rather than provide a more finely grained map of the distribution of consultation of individual posts, the frameworks that the map itself offers viewers is dramatically diminished, however, by reducing its surface to an infographic of online clicks, in ways that flatten the multiple ways of understanding or rendering space to one dimension, and remove the map from a variety of interpretive frameworks or a diversity of practices to understand space. The inhabited world is rendered via the question of access to wordpress, and the notion of a four-color map used to register the diversity of ways space might be divided by claims of sovereignty, and that distinguished nautical and terrestrial space, or topographic variations, are adapted to denote frequency of clicks on a webpost, and spatial differentiations subsumed to the gradations of usage indicated on a multi-hued color bar that occupies the place usually accorded indexical scale bars used in terrestrial maps. Space is a secondary axis of information or category against with the metadata of post-clicks can be plotted in flattering ways, as the image itself constitutes a sort of vanity map, rather than a category of its own informational content. Those regions not relevant are shown in ghostly outlines as if to acknowledge politely their existence, but also to indicate their total and utter remove of interest from this dataset. 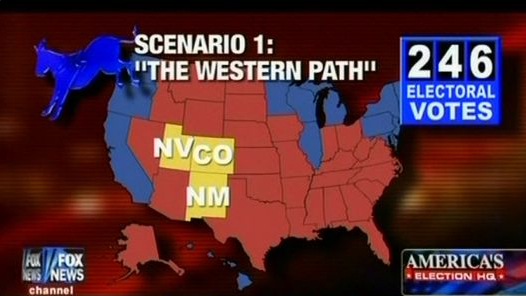 The map seems more designed for self-flattery or worldly vanity. 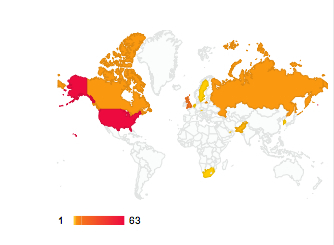 Should ten people in Russia clicked on the site, you get a boost of adrenaline that your bog somehow arrived across a huge landmass, even if the number of clicks on the site are more accurately distorted than clarified by the below usage-map. 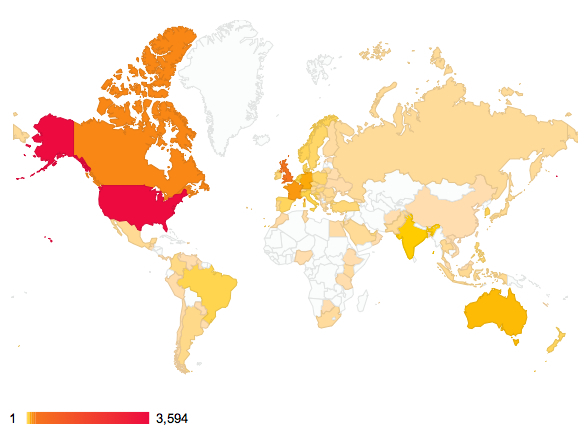 But I’m too amused by these usage maps, which were only intended to make a point. A similar evacuation of the map’s meaning in registering space is at stake in the Google Map defined by the sites that we have already visited. Evgeny Morozov has recently argued that this is tantamount to a bid to “end public space as we know it,” or, perhaps more accurately–and better yet–privatize public space. The “ends” of Google Maps is to enrich and monetize their own database, and aspire to what Siva Vaidhyanathan aptly termed the “Googlization of Everything,” without registering with that fine a grain local hybridities: the more one maps, the more one erases identities, and categorizes space a means to market the consumer’s illusion of a total access, something that is not transcending a specific perspective but approximating a surveillance behemoth in the name of the interests of a few. Google Maps mobile app director Daniel Graf vaunted the benefits of splintering of shared models of readability in his persuading potential users of the benefits of plotting entirely personalized maps. “If you look at a map and if I look at a map,” he wondered, “should it always be the same for you and me? I’m not sure about that, because I go to different places than you do.” The loss of critical faculties of mapping in such a practice of “dynamic mapping” is profound. 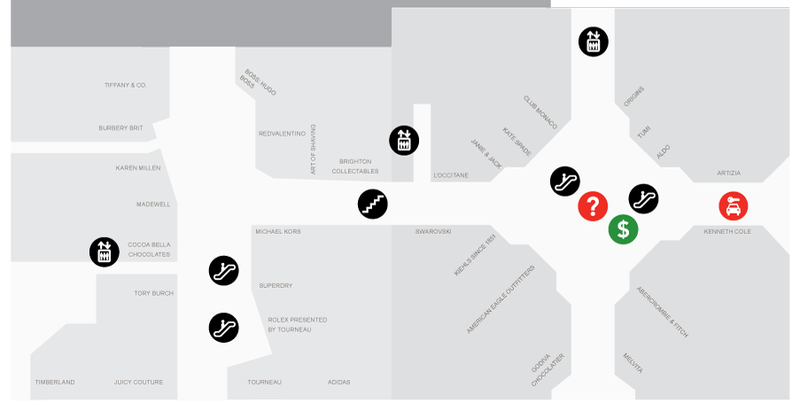 For in equating a map with a personalized history written at a remove from–and that only purports to represent–one’s own experience or interests–the effect is paradoxically to restrict rather than facilitate access to space, by pushing potential encounters with unknown places to the margins of our search. The map expresses Google’s aspiration of “organizing all of the world’s information” for its users, using metadata to approximate the paths that its users might find recognizable or shared sites on its ‘maps.’ But by keying the sites on one’s customized maps to a group of Google Plus Friends or Google Circles, one is restricting and refining the ways maps register an urban experience. The advantages to advertisers of such a consumer-oriented remapping of public space is clear. In exploiting the expanded versatility of tweaking the map to a customized personal history we are imposing blinders by inviting ourselves to be directed to potentially attractive sites for spending, rather than to explore their distribution in space. Yet by removing the map from a common or shared condensation of meaning and the encryption of preferences and taste of the restrictive community of Google Circles, and reducing the number of critical frameworks to understand spatial distributions and local variety, one is devaluing the sharing of data by the medium of the map and the critical views of space that maps allow. Is this a new image of globalization? 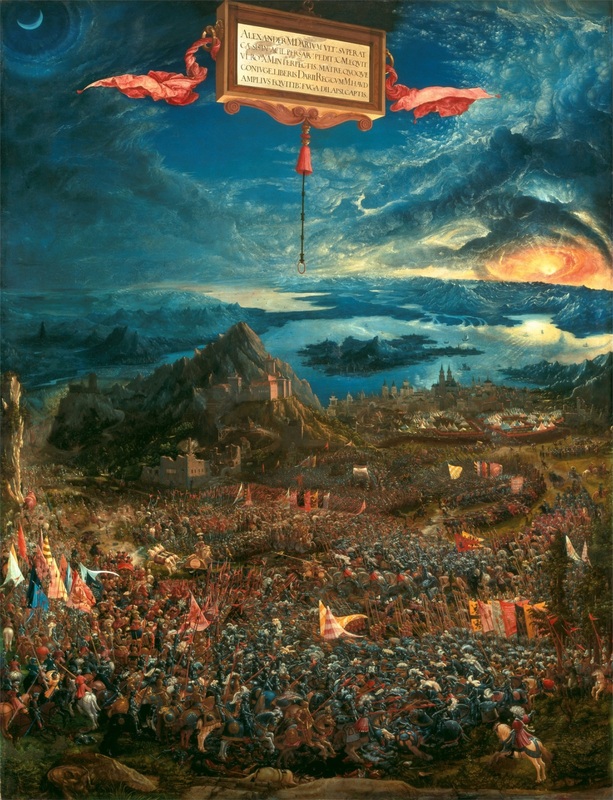 One hopes not, for it reduces globalization to an axis of material consumption or subsumes space to a generalized record of collective aggregate social tastes, where little is left to truly discover. Such maps would suggest not so much the fragmentation of the territories reified on the map’s surface, but the projection of space to conform to our expenditure habits: the proliferation of maps of minor variation and fairly predictable iterations would have little relation to anything than consumer needs, and recast map practices as media for advertisement and product-placement, something like a view of the world as a mall–emptied of its value as a form of indexing or orienting one to space. The maps tell us that we have arrived at a set of “liked” and known destinations, and prompts us to follow established itineraries to places that algorithms have determined we are most likely to, well, like. The vitriolic ad hominem conclusion of Morozov’s punchy piece faults the folks in Cupertino for projecting the uniformity of their own less multicultural surroundings of California suburbia to the rest of the world via Google Maps apps–an image of sun-lit streets, segregated by income and without infrastructure. But a culture also gets the maps that it deserves. We’ve paved over many signs of natural orientation, flattened hilltops and mountains, and increased disorientation by using freeways and defunding public transit. What sort of a topography remains but that of consumption? 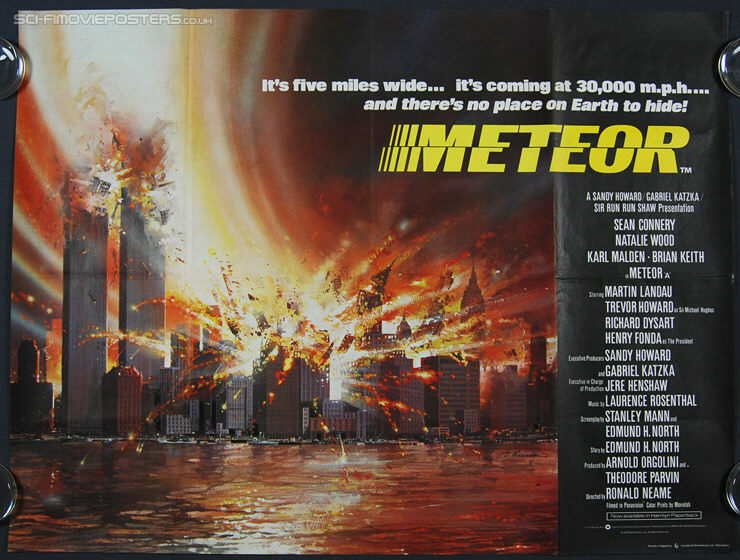 It hardly is a coincidence that the narratives of many disaster films parallel less of a storyline than what might be described as an imploding map: the destruction of familiar landmarks, the upending of orientational signs on a map, and unsettling of the known world extend far beyond the erasure of whole cities, whether New York or Los Angeles, from the map–or even an existential sense that we are the sole survivors, stranded on the surface of an unmarked map. Such filmic narratives mirror a sense of deep anxiety about the coherence and reliability of the map, or of how maps might help us to navigate space and to process a cohesive or coherent record of terrestrial expanse. When one enters cinematic space, there is the horror, which we can barely stop watching, of having that sense of space implode, as the familiar landscape which we’ve been accustomed to orient ourselves within is suddenly open to threats of inevitable destruction. Cultural critic Mike Davis has excavated a history of filmic adaptations of the destruction of Los Angeles, pointing to the multiple fictive destructions of the city of angels by tornadoes, storms, earthquakes, fires, sea monsters, snakes, wolves, or wild bees as a projection and a response to the fragile ecology of the city itself–as if the screen images of natural destruction were the return of a repressed awareness of the region’s ecology of So Cal, and particularly of the basin from the San Andreas Fault and San Gabriel mountains to the Pacific. Of course, Los Angeles has been defined so many times since the 1950s in film, it is difficult not to lapse into chronicling the appearance of such cinematic destructions, if not evident restlessness on the part of screenwriters to move from the 1974 “Earthquake” to volcanoes, viruses or tidal waves–as in the film “Volcano” (1997), when a volcanic eruption threatens to destroy the entire city and its inhabitants. Davis made a strong case that the fairly self-referential act of destroying what was the epicenter of movie-making in the United States was not about the medium of film, but the denial of the quite precarious environmental volatility in the city itself. “Earthquakes and fires and floods are just the normal metabolism of the landscape,” Davis remarked in an interview; “but we deliberately, almost, keep putting ourselves in harm’s way,” or court disaster in order to deny it. 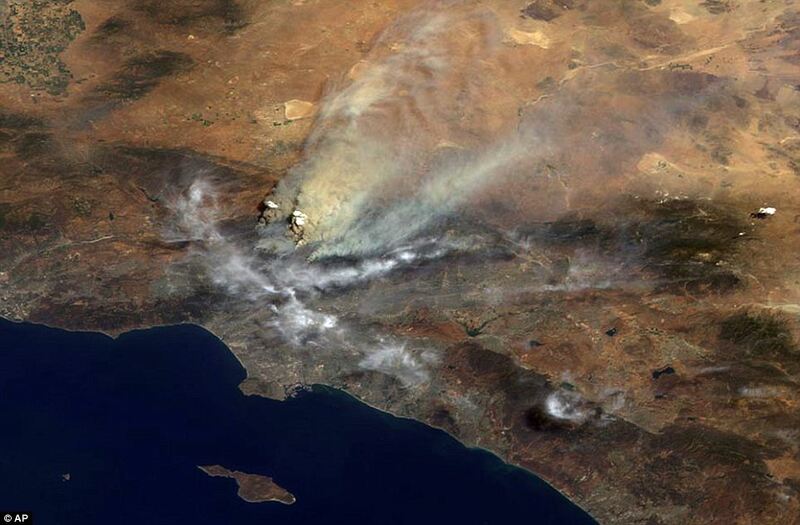 Take the building and rebuilding of mansions at the mouth of canyons out of which the Santa Ana winds carry fire every decade or two. He observed that at the same time natural disasters in Southern California were minimized in much of the early part of the century in the press, there was an odd normalization of the destruction of LA in particular in a slew of films that detract attention from the political ecology of the region in the name of entertainment. 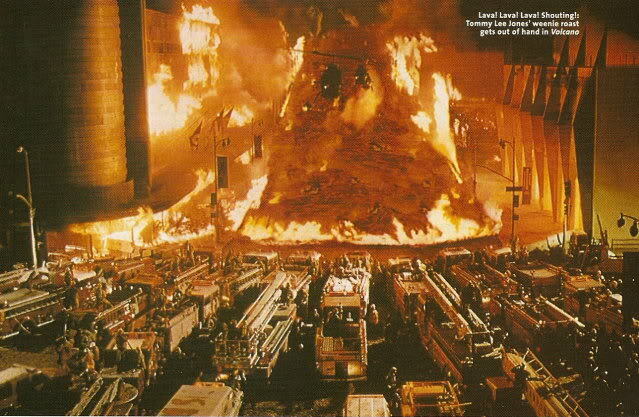 In a somewhat early modern way, the city of Los Angeles became a microcosm on which to project world disaster (or the disasters of modernity) that repeatedly recurred in a string of bloated disaster films of the 1970s and 1980s, from “Earthquake” (1974) and “The Towering Inferno” (1974) to “The Swarm,” that dangerously threatened white men. 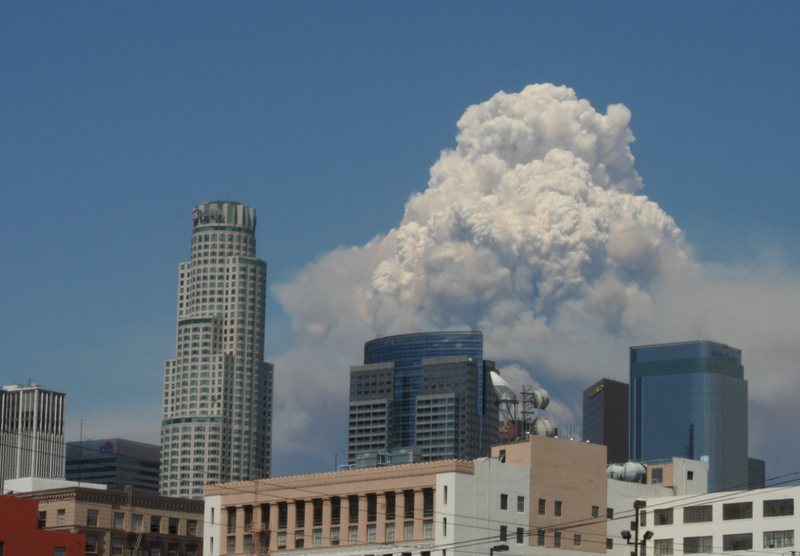 The relations between the destruction of Los Angeles that repeatedly occurred on film had clear grounds to be confused with the fires that ravaged its nearby hills–especially for the inhabitants of the city itself. 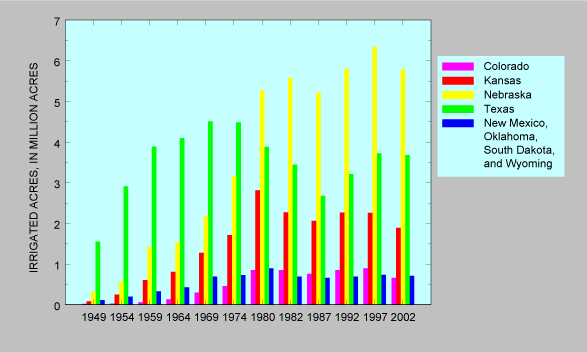 The recent 1990 Station Fire arson provoked an interested comparison to the mushroom cloud that would be created by the tonnage of a Hydrogen Bomb. 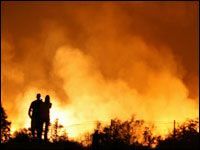 “Was it Hollywood that provoked the Station Fire, as a means to assert that life must follow its ‘art’?” asked one blogger wrote. Davis was not only concerned with film-sets, of course. Davis showed how the rise of apocalypses that engulfed LA paralleled a deep historical denial of the ecological destruction perpetuated by the encasing of rivers in concrete and destruction of open spaces revealed in the 1930 Olmsted-Bartholomew Report, “Parks, Playgrounds and Beaches.” This report, which detailed the effects of rampant urban expansion–and in the 1990s became an icon and emblem for the destruction of LA’s natural environment, and a “lost Eden” irrigated by riverine paths was transformed into a transformation of the Los Angeles river into a freeway–had the odd distinction of being suppressed by the very Chamber of Commerce that had commissioned it to be drawn, so clearly did it represent an image of the city that they city did not want to encourage. 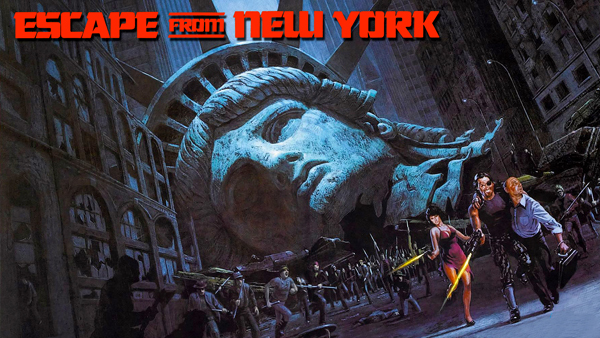 Something similar is at work in the disorientation created by the implosion of familiar sites and landmarks–and mental maps–in films that localize destruction or map apocalypse for the masses at the multiplex. Whereas Davis provides an image of a city that relentlessly throws itself into harms way with oblivious denial and a slight shrug, there is a pleasure in watching the familiar destruction of the map compensates for our own fears of disorientation in striking ways. This is the destruction of a local network, or a lived network, as if to assert the authority with a fatal stroke of an imaginary world that engulfs the viewer in its violence. The effects are uncanny. 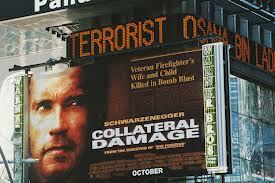 The juxtaposition of “news” and filmic narratives of destruction in the post-9/11 world has been widely noted, as have the precursors of the tragic suicide attacks that killed so many on studio lots and in the megaplex. 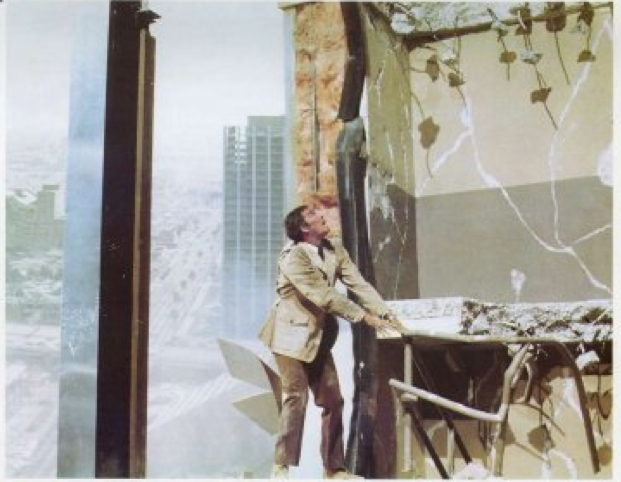 The parallel between images of destruction and of the towers’ collapse is chilling–as the common difficulty many had in discriminating the destruction in New York City (and elsewhere) from the familiar images of a disaster film. 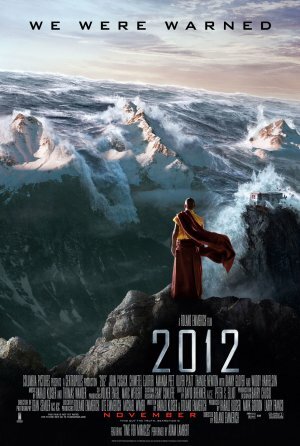 The most recent Roland Emmerich disaster pic of 2012, rife with conveniently ‘disinformational’ plots that explain global warming by the release of abundant neutrinos by solar flares– rather than any human activity–cryptically and mystically tied to the prediction of a global catastrophe in the Mayan calendar designed to claim box-office victories by a heady mixture of apocalypticism and pseudo-science: the rise of temperature in the world’s core leads global eminences to save humanity by a commitment to preserve a select 400,000 in new Noah’s Arks in Tibet, as they raise the funds to do so by–you guessed it– allowing the super-rich to buy tickets for just a billion a head. (That’s a fifth of the film’s production cost.) 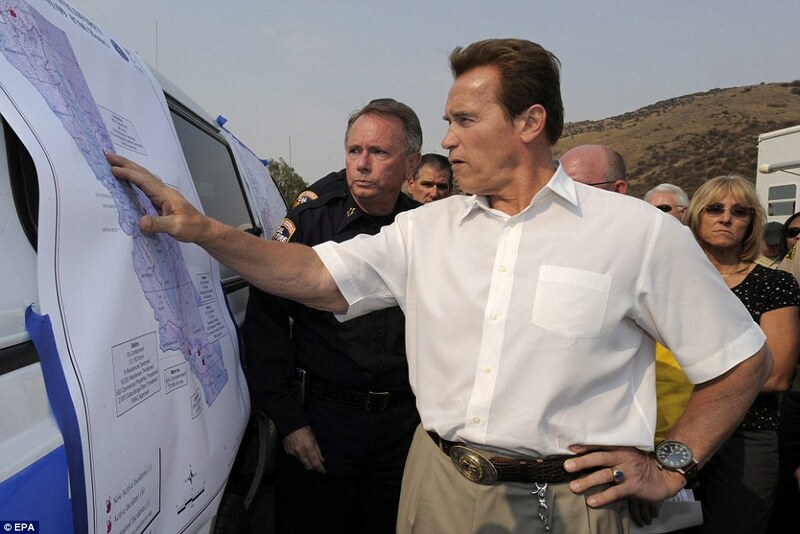 Los Angeles isn’t just destroyed, but falls with all California into the waters of the Pacific–significantly raising the bar on the films Davis describes–as a destabilizing shift of the crust of the Earth causes a massive 10.9 earthquake of the sort predicted by the hack Charles Hapgood–who has a sort of cameo appearance by video–as tsunamis and volcanic eruptions result in global mayhem on a scale and scope whose imagined perspective on worldly disaster rivals Albrecht Altdorfer’s mapping of an ancient battlegrounds in his 1529 “Battle at Issus“–whose panoramic canvas whose aerial perspective of near-global purview the movie’s poster both recalls and recreates to entice potential viewers into theaters to watch. Of course, the scale is biblical in proportion. 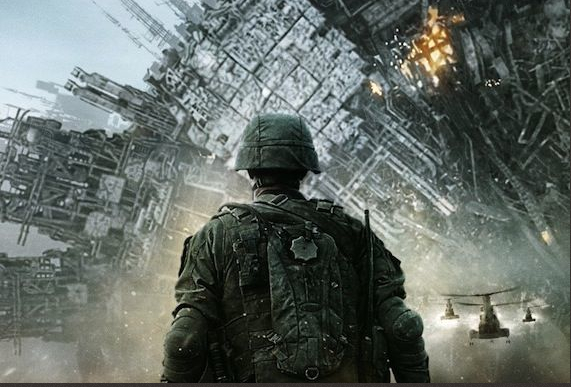 But who cannot deny that the difficulty of mapping current crises from global warming to the war on terror has not created a veritable deluge of films that challenge one to grasp their mapping of world-collapse in ways that seek to rival and upstage contemporary apocalyptic threats? Amid “megatsunamis” that send aircraft carriers to the White House lawn–killing the American president–even as the eruption of the Yellowstone Caldera covers most of the United States and Las Vegas with volcanic ash and debris, and Hawaii basically disappears as volcanos explode, the map is shifted beneath one’s feet, as Africa rises in elevation and South Africa–that lovely place–and the Cape of Good Hope become the site that the ark carrying lucky few lands. 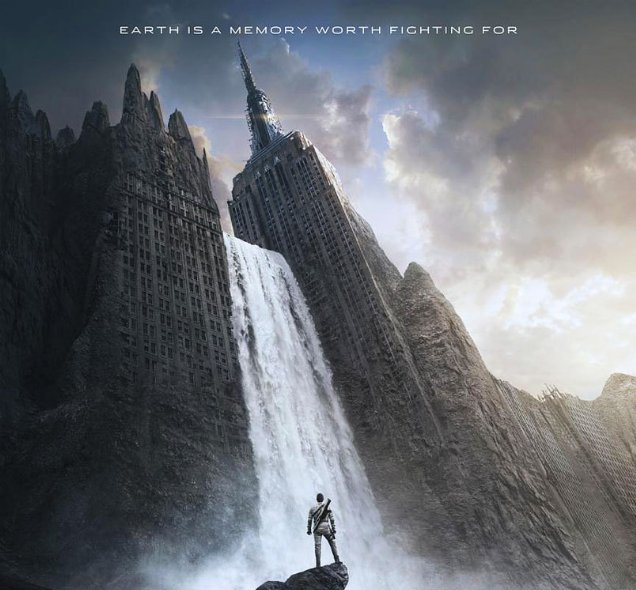 The world map is destroyed in shreds, even as the heroes search for a lost map that may promise redemption, until the colonialist capital of Capetown is finally resettled, and a hope of harmony restored. Is this a restoration of the colonialist map of a white Cape? A global pandemic provides the background or only context for the 2014 version of “The Last Ship,” which revisits a tale of post-nuclear holocaust: the earlier plot focussed on two submarines, one American and one Soviet, that travel from the Barents sea and Arctic Circle to tour a world whose sites are destroyed or covered by dense clouds of radioactive smoke, from London to Gibraltar, through the lifeless Mediterranean and through the Suez Canal until they make it to an uncontaminated French Polynesia after having braved a nuclear winter in the Indian Ocean until they are forced, as even that island is destroyed, to McMurdo Station to find new homes. In contrast to the global tour of the “Nathan James” after it fires its last nuclear strike on ICBM silos, global pandemic has rendered the world uninhabitable in the TNT “Last Ship” (2014): video communications to the ship stranded in Antarctica for months without contact inform its captain of the death of the president and vice-president and thousands more as a virus has made its own world tour from Cairo, the site of its ininitial outbreak, to Russia without government, London burning, and leaving most dead. Filled with aerial footage scanning Antarctica, imprecations of global duty, blazing guns and more, Michael Bay’s TNT “post-apocalyptic action drama” centers on the paleomicrobiologist conveniently located on the ship as she works to manufacture a virus on the last ship floating, the known world long gone. 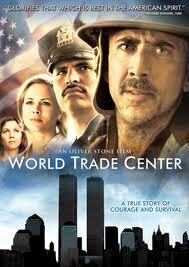 There’s a familiar melancholia in Nicolas Cage’s wistfully longing eyes that once more brim with stoic regret. He might be recalling an era of films with more coherent narratives, or a more ground-bound perspective on human events that he seems resignened to accept as a thing of the past. Recent news of the quite devastating dwindling of the High Plains aquifers sent me back to how William Rankin charted the uneven distribution of monocrops in the United States. 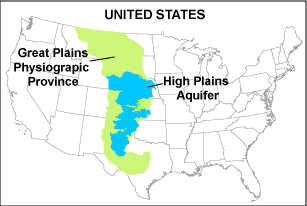 For the authority with which maps render a depletion of High Plains aquifers as an “underground pool drying up”–as if it were a record of nature, intensified by global warming, echoed in the discussion of a dwindling or disappearance by the time the aquifer that runs from the sands of Wyoming reaches Kansas and the Texas panhandle, leaving farms without the groundwater on which their livelihood depends. Although long characteristic of the nation’s landscape, the underground water that feeds the high plains long taken for granted to dry up–in ways that challenge mapping tools or a reliance on cartographical practices as tools explication. How much this has been intensified by increasing temperatures of summer months, maps reveal the extent to which the depletion of landwater has been exacerbated by agribusiness and the dramatic unsustainability of irrigating subsidized crops from an aquifer that is, due to evaporation, rarely recharged. 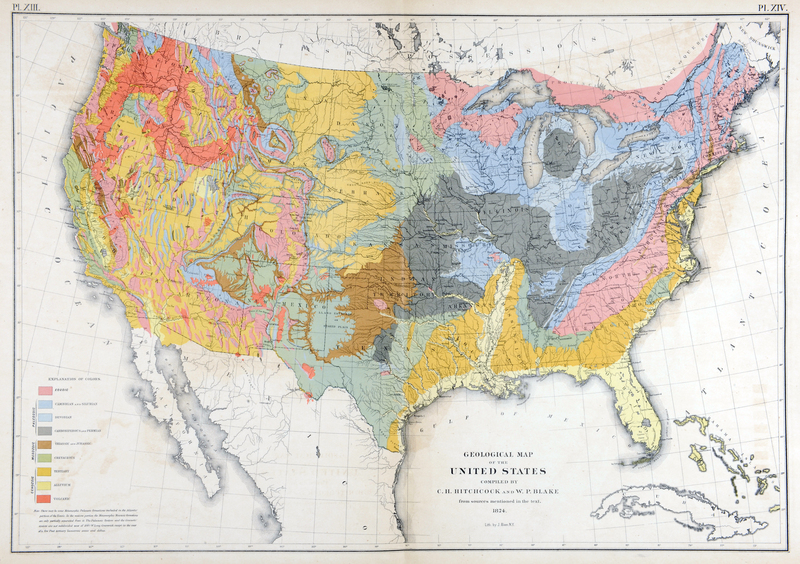 Most maps of aquifers’ depletion effectively minimize the impact of patterns of human inhabitation on the plains–if only because they don’t register how nature no longer exists as an autonomous category, or how all maps represent the human shaping of a “natural” record. The authority of the map erases the effects of inhabitation, or the very agricultural practices that much of the same article describes of an intensification of irrigation across the region, uniformly distributed without regard to the level of the water-table. They naturalize the presence of water in the ground, as, most simply, by coloring the aquifer’s expanse by a uniform blue, as if to render a plentiful underwater sea readily accessed by drill. The shifting water-levels of the irrigation have however shifted the availability of this hidden underground reserve challenge us to use map to expressing the dynamics of its depletion. Use of the Northern Great Plains aquifer system for irrigation has long consumed over half of underground aquifers: irrigation of lands in Wyoming and Montana regularly feeds the aquifer system itself, as excess irrigation feeds the aquifer itself in those states. 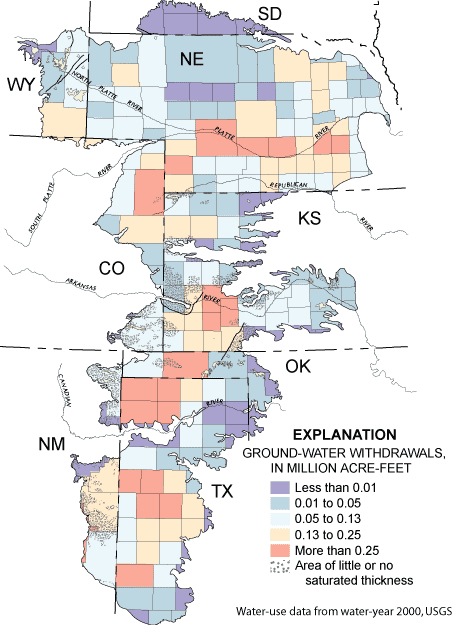 Yet water-level monitoring in the High Plains aquifer led to increasing declines in its level from the start of its intensive irrigation from 1950, and has most recently led to the failed search for new wells in its southernmost reaches. The recent chronicling of the transformation of fertile plains into dust by the New York Times stands at the end of a depletion already mapped by 2009: if the compelling article painted a somewhat passive picture of the depletion of the aquifer that has so shaped the American landscape, the problem of mapping water and crops lay in the implicit tone of a naturalization of water-loss–whose effects nicely intersect with fears for the effects of global-warming–whose ‘news’ may exist in its delayed economic impact on farming, rather than on the absence of warning signs. When Ashley Yost told the reporter Michael Wines “I’ve raised 294 bushels of corn an acre there before, with water and the Lord’s help,” he grouped water with the divine assistance, as if it didn’t come out of the ground. The combination of landscape images of the effects of a parching of agricultural fields with a set of regional maps threaten to naturalize the changing hight plains landscape and minimize the ways in which all maps pose arguments–as much as Matthew Staver’s striking image of arid corn fields–because they fail to register the dwindling as the effect of their practices of inhabitation and a changed dynamic of water-use. 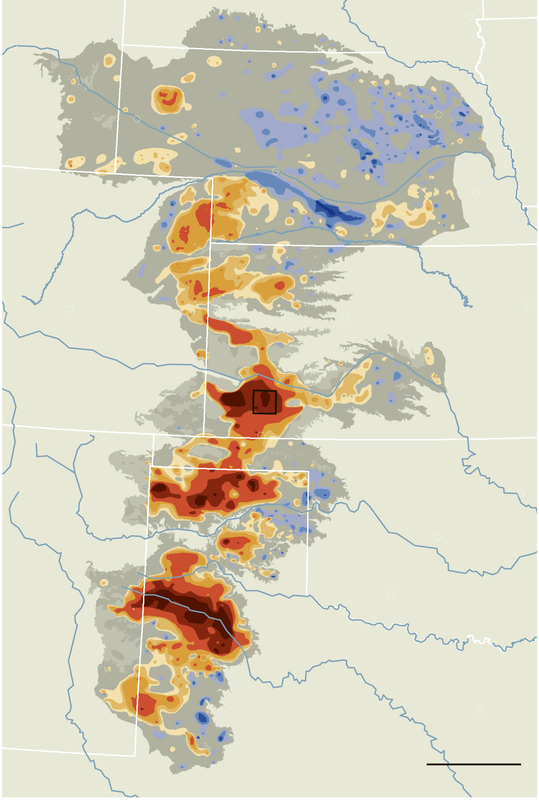 The recent drop of the aquifer of some four and a quarter feet in Kansas from 2010-11 is a call for alarm not only as a “lack of water”; the drying up of landwater during the summer months has led to a dramatic decline in the amount of corn cultivated in that state that reflects a failure of agrarian planning and a concentrating of water-resources in monocrops–as much as the depletion of an existing water reserve in a uniform fashion over time, accompanied by an expansion of water-hungry crops such as corn, beside others like wheat, in the region–not to mention the raising of livestock on water pumped from aquifers. The destructive intensity of the drainage of water that never returns to the aquifers lying deep below rest on processes of extraction and irrigation to a degree that can never be replenished never lay in the individual farmer. 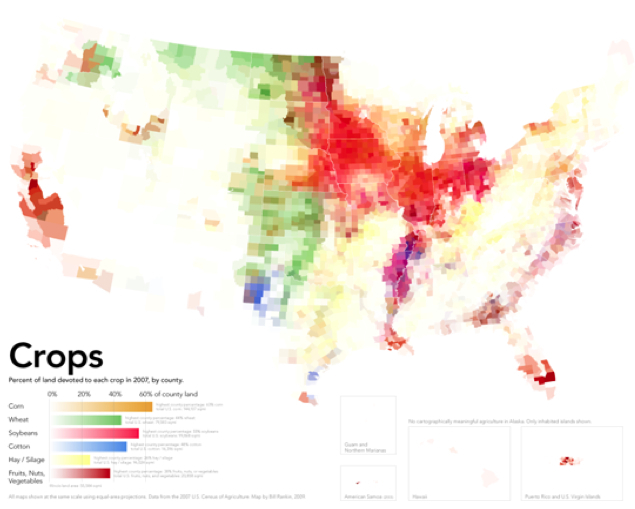 I’ve discussed Rankin’s maps that speculate on the consequences of the uneven distribution of crops and land-use in an earlier post. The correspondence of that aquifer to large corn monocrops they’ve been used to supply is striking when one maps the expansion of corn as a subsidized crop across the nation. What amounts to a submerged sea and had long seemed an unending resource of underground feeding supply has finally begun to exhaust itself–with disastrous consequences for farming communities who depended on its supply as if were a cash cow to irrigate less than fertile lands in the former dust bowl. Corn monoculture was facilitated and undergirded by the unsustainable illusion of irrational abundance of an unending supply of underground springs. Although the patchwork of intense corn-farming may not be dominant in relation to wheat (shades of green) or silage (yellow), the intense patchwork of corn-cultivation in an area not particularly rich in water-sources suggests the ill-effects of agricultural subsidies on the distribution of natural resources. The tan patchwork reveals a depletion of landwater in the very region a region that the New York Times singled out as revealing the adverse effects a dwindling aquifer had on farmers’ productivity. The ill-effects of sustained drilling in vain attempts to force underground water to rise in pumps range from the depletion of the region’s water-level to the survival of crops. But its maps conceal a story of the depletion of resources across the plains with the increased reliance on pumps. The difficulty to pump water grew further south extract demand grew to feed central-pivot irrigators to drench crop lands so as to enable them to remain emerald green and fertile in spring and arid summer months, at the very time that the intense sun dries them, the terrain maps present the present consequences of irrigation practices as the new nature of the plains. 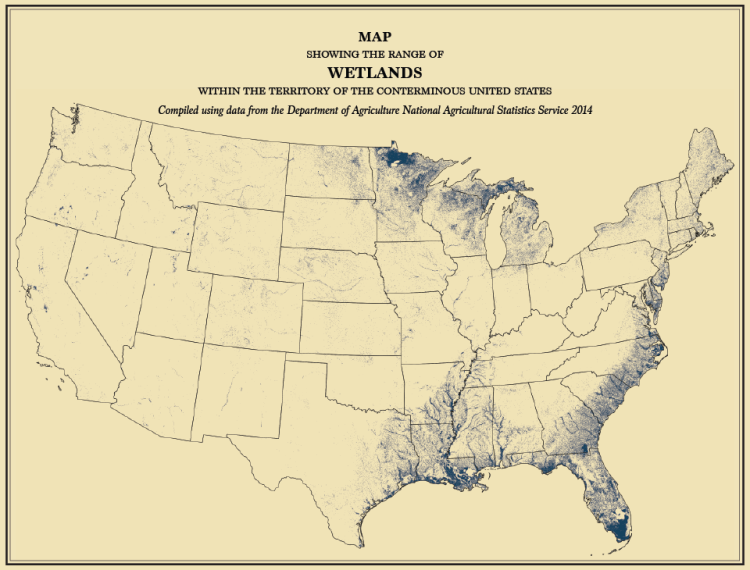 The map that shows a “drying up” of hotspots on the paths of underground aquifers is a map of the future of US agriculture. 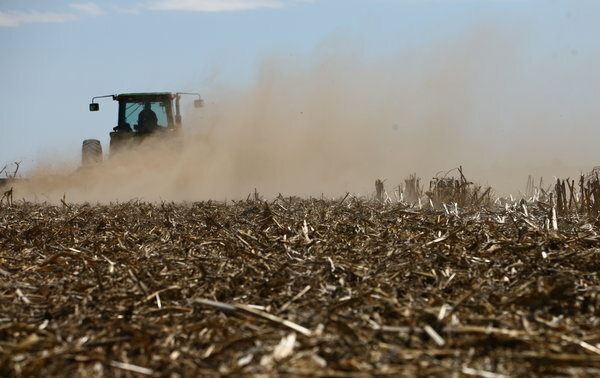 But the dramatic dark-spots in the area of north Texas and Kansas, the edges of the underground aquifer and the areas of new corn farming, demand to be further unpacked. Indeed, the extent to which the cultivation of corn as a dominant monocrop maps onto the depletion of the once-plentiful national aquifers in Midwestern states recently in the news, as the regions whose agrarian geography was defined by big center-pivot irrigators–temples to the belief of infinite water-extraction and the plenty of crops–have been able only to water circles of diminished radii as the aquifer has declined. Yet if “up to a fifth of the irrigated farmland along a 100-mile swath of the aquifer has already gone dry” at the same time as summer temperatures have risen, we need to accept how much of it was forcibly extracted by men hungry for cash. 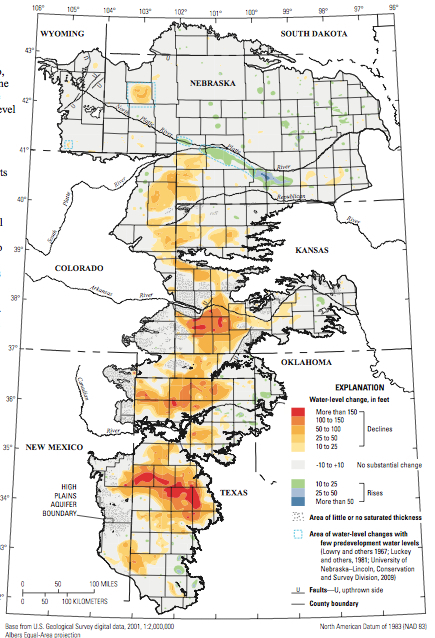 The maps of this water-depletion reveal the need for revising the expectancy that regions of Nebraska, Kansas, Oklahoma, and Texas that occupy the High Plains Aquifer of North America. What amounts to an submerged sea and had long seemed an unending resource of underground feeding supply has finally begun to exhaust itself with disastrous consequences for farming communities who depended on its supply as if were a sort of cash cow that could be used to irrigate already fertile lands. The question is in part how such agricultural practices can change. The correspondence between corn and landwater gets scarier when one notes the intensity with which aquifers had begun to be drained by ground-water withdrawals as early as 2000 to nourish the spread of thirsty crops such as corn that have led to increasing reliance on unwarranted extracting of groundwater. The map “Java La Grande,” an imagined continent that invited close inspection from viewers, gives new meaning to the assertion that the map is the territory. 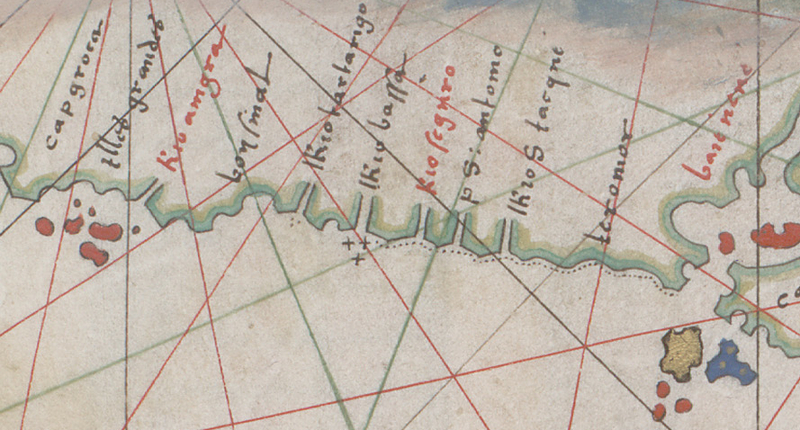 For although this territory never existed, it was mapped: the medieval construction of the antipodes, a mode to balance the continents, was an artifact of early modern European cartography of considerable duration and lasting power. 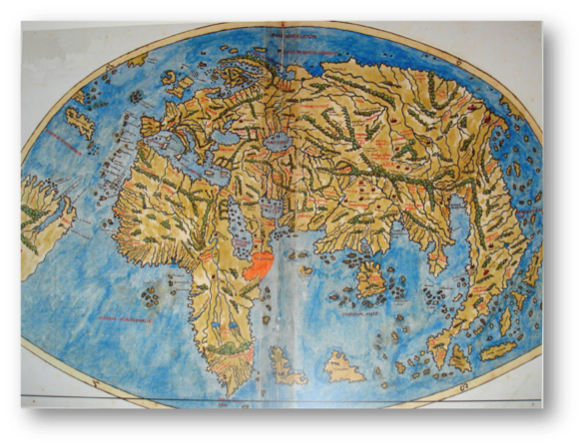 When Matteo Ricci mapped the world’s regions in 1607 for his Chinese hosts, his copy of the Ortelian map included a large discussion of “Guinea” as a place not studied or known well by Europeans, and perhaps an independent island or attached to the southern pole–albeit one that was not known to be inhabited, and with which little if any contact had been made. 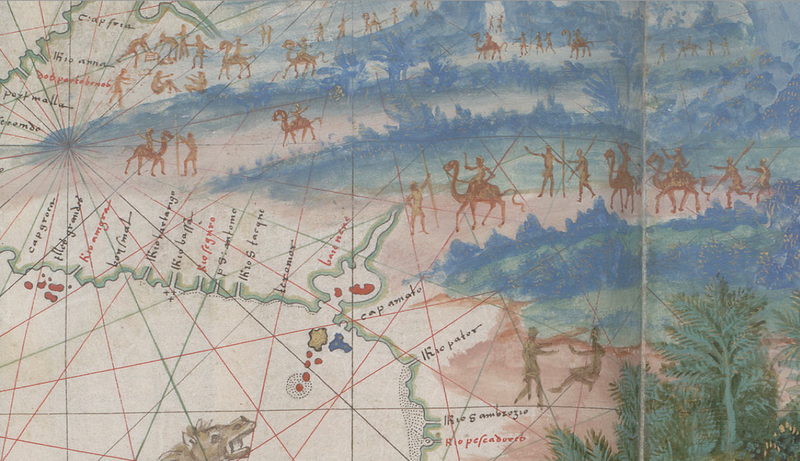 In this sense, Guinea remained an outlier in the age of discoveries, and a somewhat rare blank spot on Ricci’s global map. 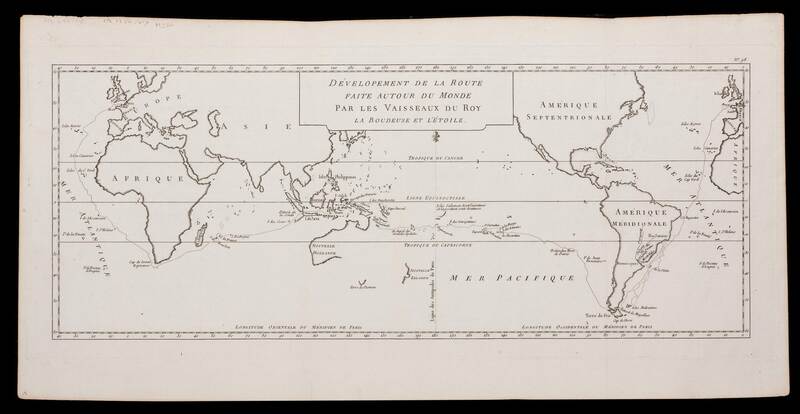 As an artifact with an esteemed cartographical lineage, the image of the continental landmass continued to be mapped into existence by the mid-nineteenth century. 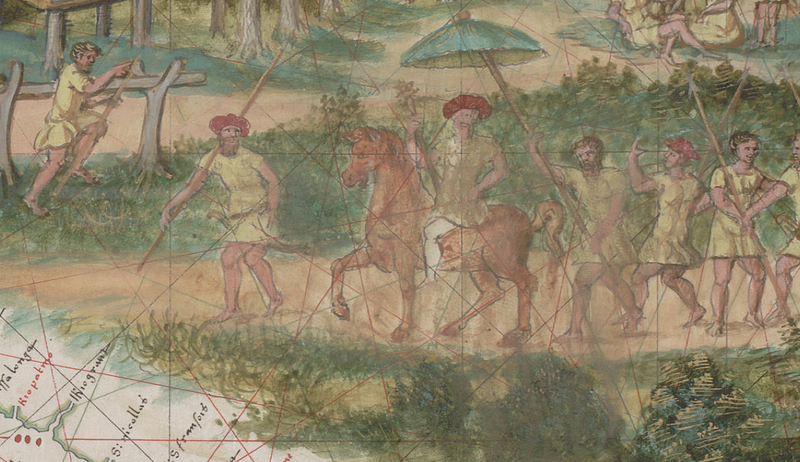 But its appearance in the below chromolithograph of a Renaissance map from the library of baronet Sir Thomas Philips was declared the first map ever recorded of nothing less than the very continent of Australia, as ostensibly witnessed by the Portuguese sailors in the pristine state of nature in which they had allegedly first discovered it. The map was prized as an image of initial discovery. The anonymous artist-cartographer recorded the recession of space in this map, which as it recedes its inhabitants are registered in brownish tracery, foregrounded the idyllic life of this entirely unknown land. You get the idea of arriving in a region taken as Australia that was the entrance to a landscape of untold wonders in the map of “Java La Grande” designed for Nicolas Vallard’s nautical atlas of 1547 in Dieppe, a center for the diffusion of Portuguese nautical charts for an elite audience of European nobility, reproduced in this 1856 facsimile now stored among the jewels of the Australian National Library. The pictorial landscape chart was a luxury embellishment of the sorts of rutters that were drawn with artists of local topography. The material object was prized and promoted by Phillips as a record of the first encounter with the territory of Australia, reproduced with such painstaking care in the mid-nineteenth century as a chromolithograph from the first baronet’s library when he tried to disperse the Vallard atlas and other early modern books to the British Library, inspiring the reproduction of the map, which he mis-titled “The First Map of Australia,” to promote the value of his collection The map made for the Vallard atlas by an unknown painter was probably valued because it seems to record an image of Portuguese encounter with the indigenous inhabitants of Australia. 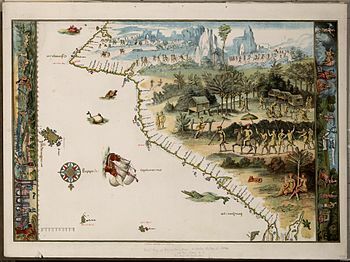 As part of the corpus of Dieppe charts that were, unlike earlier nautical maps, pictorial syntheses Portuguese discoveries of almost ethnographic qualitative richness as depictions of inhabitants for elite audiences, the image has provided a touchstone of a vanished native culture that is particularly powerful as an imagined precursor of the discovery of Australia, valued as an image of imagined contact. The Vallard map possesses the distinctively attractive qualitative lushness peculiar even to the Dieppe school of which it forms part. 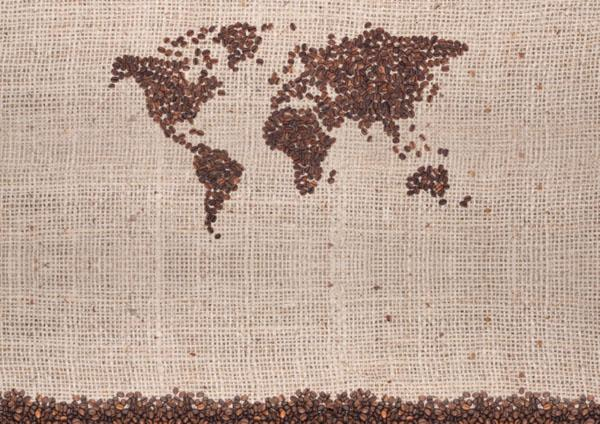 The identification of Australia with the mythical “Java La Grande” is not entirely rooted in geographic fancy. 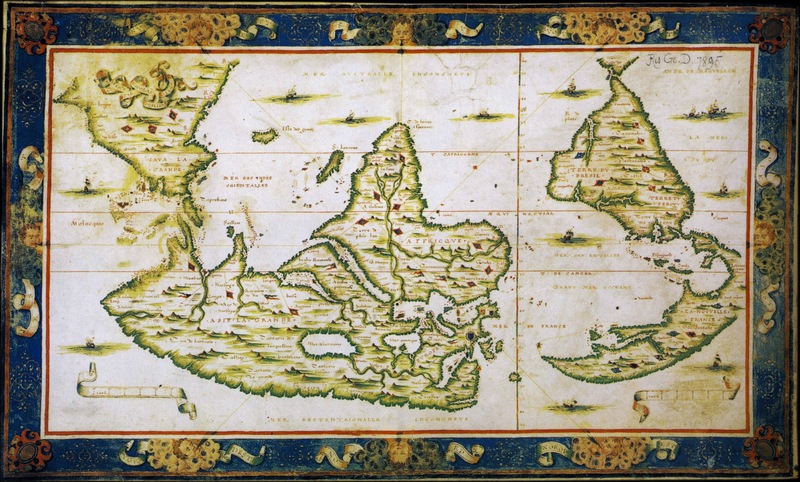 Java La Grande was described by Marco Polo as the largest island in the world–but reflected some recognition of this unknown landmass that extended to Antarctica, and recurs in the Dieppe maps as a cosmographical idée fixe as not an island, but terra firma: at the same time as the current-Java was described by geographers of the 1540s, the Dieppe school identified La Grande Jave as an extension of the Antarctic Terra Australis, and it was taken as an early evidence of the southern continent’s early discovery. The map became taken as the territory. 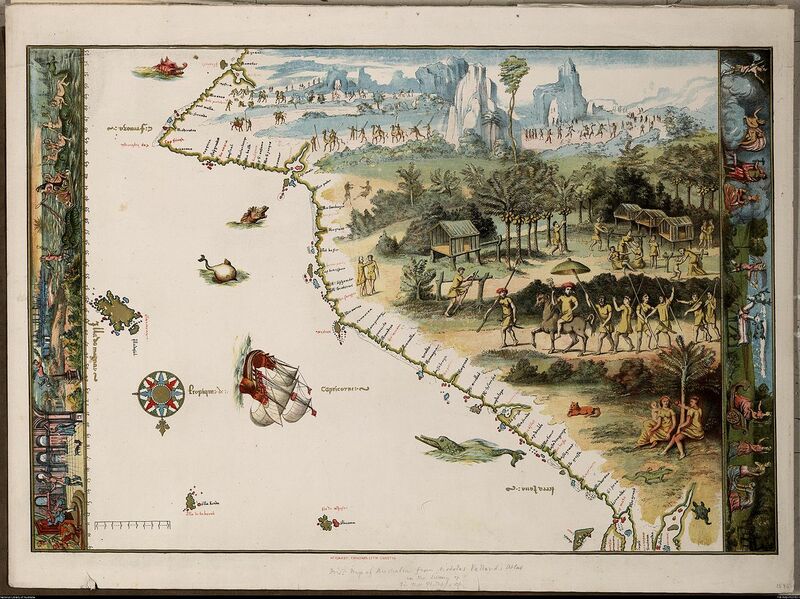 And so why not preserve this map as a treasure of the collections of the Australian National Library, even if it is a nineteenth-century copy–and quite a faithful one–of a map that represented quite a different imagined land? 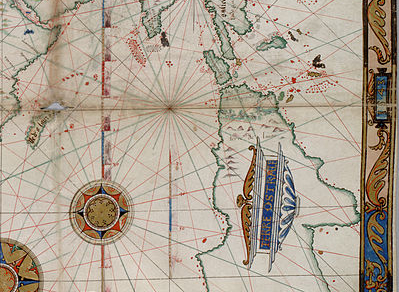 Yet what was later prized as the “first map of Australia” is distinct from a roughly contemporary 1543 chart by Guillaume Brouscon of the same school in Dieppe, who synthesized information from prized Portuguese charts to a new audience of landlocked European nobles. This earlier map devoted a considerable space to “Java La Grande,” extending the rectangular format of the engraved global projections later standardized after their printing by Mercator and Ortelius, if already adopted by humanist geographers, and offering far more detailed depictions of the settled interior than nautical charts that confine themselves to coastal towns. The almost ornamental multiplication of compass roses that proliferate like heraldic crests on this map suggest its ornamental nature in a corpus of maps. He readily presented this map as rife with cartographical invention, as well as following cartographical conventions, as if suggesting the frequent embellishment of persuasive or recognizable detail in maps, more than the license his own achievements in mapping much of the Americas may have merited: “what I have marked and depicted is only by imagination, and I have not noted or remarked on any of the commodities or incommodities of the place, nor its mountains, rivers or other things; for there has never yet been any man who has made a certain discovery of it.” The absence of “certain discovery” is an odd juxtaposition with his own discoveries, and the admission of the absence of such “certain discovery ” led to a land that was entitled to be created by the imagination. The narwhale rising from the waters just off the coast, shown without regard for the scale of islands or inlets on the coast, paired with a resting bobcat or lynx. This image of the Eastern coast of Australia is only slightly embellished from Vallard’s original. It’s been recently suggested that the inventive maps of the Dieppe school fabricated the entire continent out of geographic legends to evoke a potential land for colonization by the French monarch, as in this earlier 1566 Desliens world-map. 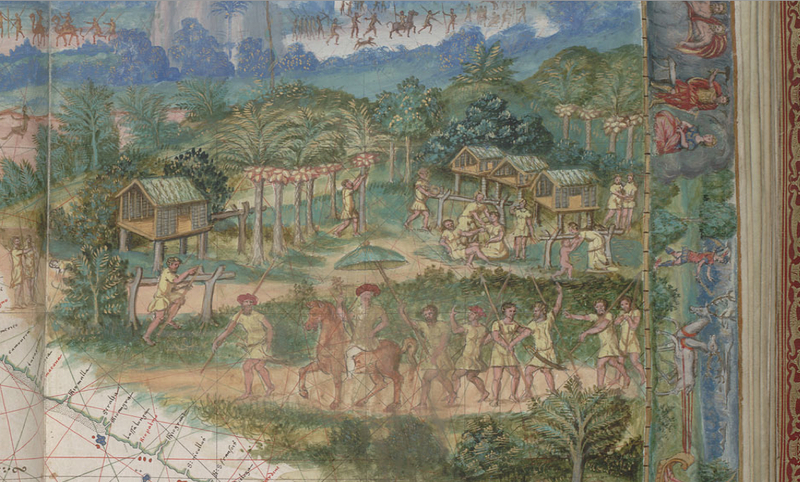 Indeed, these deluxe manuscripts reflect the broader interest of the materializing of wealth on the map, and, on the surface, seem to cast Java La Grande as something of the potential equivalent of what the Spaniards found in the Americas. The notion of this fabrication of continent seems absurd, but had confirmation in geographic theory. Java La Grande is projected as a land of potential conquest and wealth, and is a survival of medieval written geographies that was transposed to a recognizably modern cartographical form, if it antedated the imagined expansive island of Taprobana, identified with Madagascar but often shown as a land of wealth, and in ways moved this target of European interest further East toward the Spice Islands and Indonesia. The placement of initial folio perhaps as it was the most pressing communication of cartographical news–pays particular attention to the forms of habitation in Java, and the houses in which the inhabitants live and the palm-nuts on which they live: as if to embody the information displayed in disembodied form in later world map projections: in the years before Mercator’s Theatrum orbis terrarum, nautical charts concretized viewers’ material relation to spatial particularity. 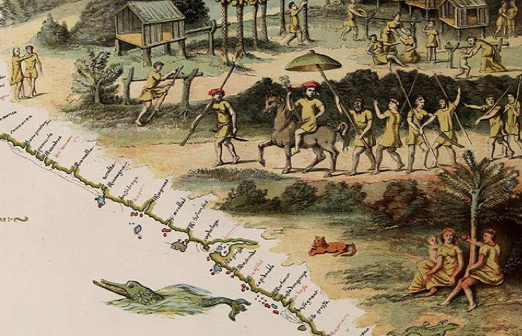 The map offers something like a luxurious window into the newly discovered land for viewers to contemplate in ways that simple terrestrial projections did not allow. This might explain the staying power of nautical charts, based on observational practices of sailors and possessing a clearer pedigree as transcriptions of space, into the seventeenth century. 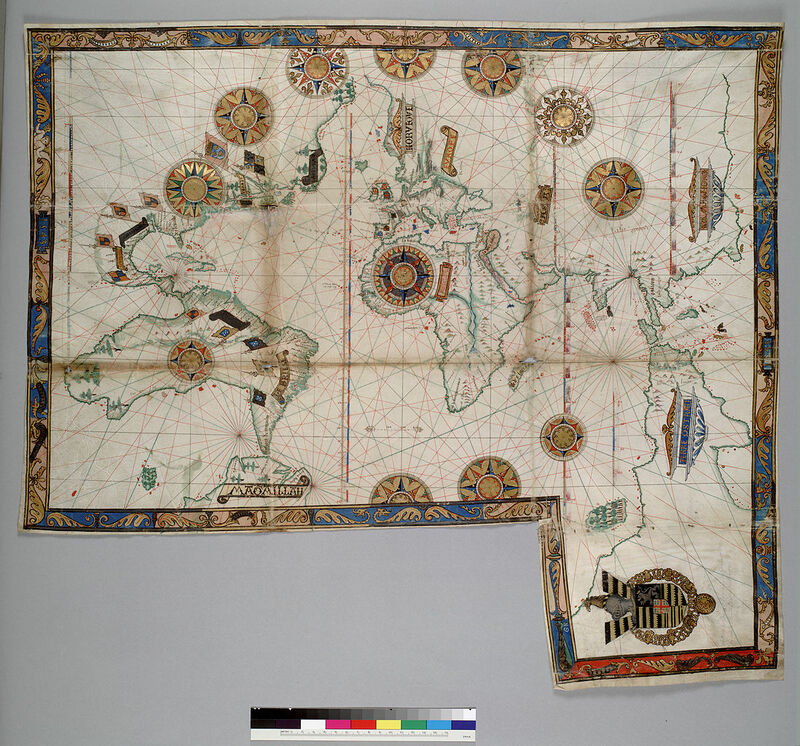 At the same time as material goods were arriving in Europe from west Africa and southeast Asia, maps provided something of a spatial catalogue to understand their arrival and place them somewhere in a lived topography, as much as they offered tools of orientation. Java La Grande was attractive as something of an evidence of the inhabitation of a region later identified with Australia, before the arrival of Captain Cook, in ways that depicted the inhabitants that occupied its expanse in something of a romantic light. Our way of moving through space determine the nature of our maps, and in a globalized world, it is both focussing and challenging to think about old ways of occupying and moving through or across space. This map by a Venetian (Istrian) admiral who designed nautical charts, Pietro Coppo, incorporated the popular genre of “island books” to suggest the infinite number of places that one could visit by ship on the edges of the world–and the unknown continent of the Americas peek out from one edge–and the range of Mediterranean and west African ports to be reached by sea. The nautical chart reveals a sense of the motion across waters to new lands, but I want to focus on how railway maps reveal the accessibility of space because they suggest a world we have lost in which the accessibility of space and routes of travel are rendered like a public good, even if for commercial ends. 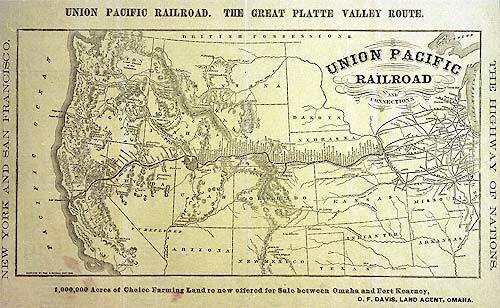 Railways defined, in ways that highways later came to do, a new sense of national space like “the Highway of Nations,” because they graphically charted–much in the manner that this 1869 map of the transcontinental line from New York to San Francisco, a new way of moving through space. The single thread of a line that reaches across the continent, names of stops stacked perpendicularly to its course, much as the names of ports in the nautical chart, the railroad’s path provides a metric by which terrestrial expanse was traversed. 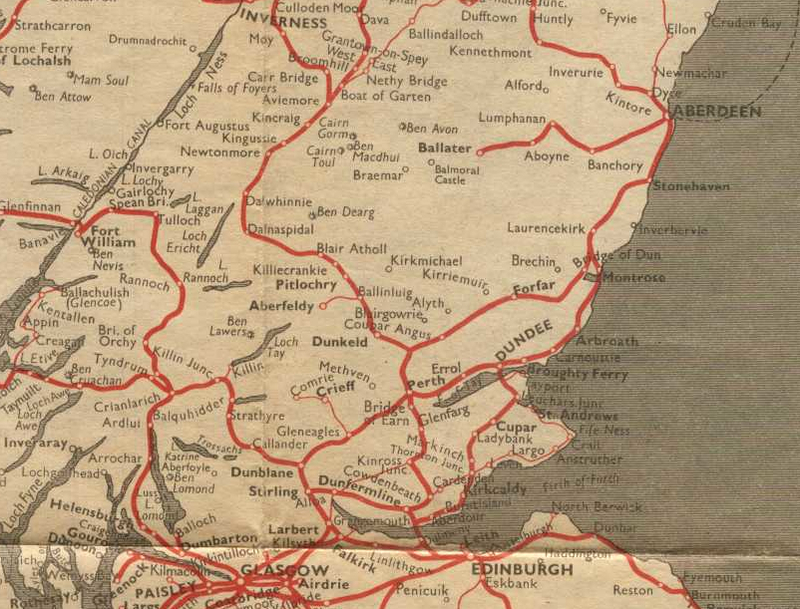 The map charts a model for moving across an almost unknown expanse for rail-travelers, past an area defined only by a loosely understood hydrographic web. 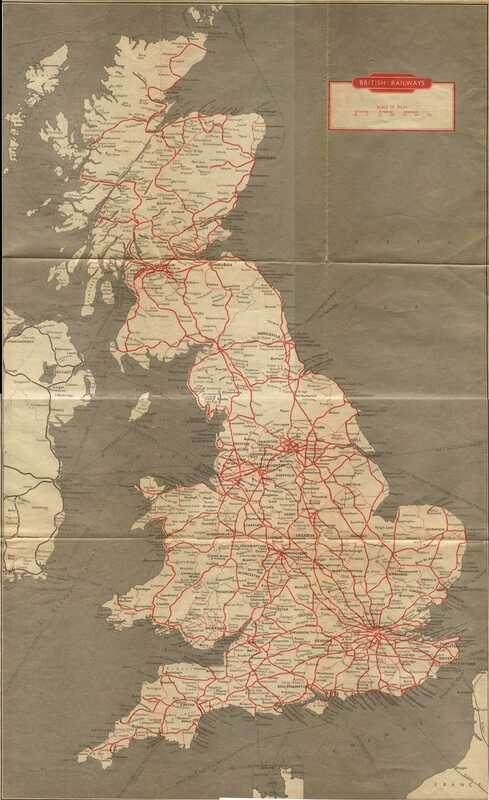 It was, to be sure, replaced by the highway maps that provide individualized modes of transcontinental travel focussed on one destination. If Coppo’s world map offers a somewhat quaint rendering of the Americas that peek into one edge of a cosmos reminiscent of a medieval view of infinite islands ringing an habitable world, the railway map is a map of spatial access for all as remote, in those days before the denationalization of transport. 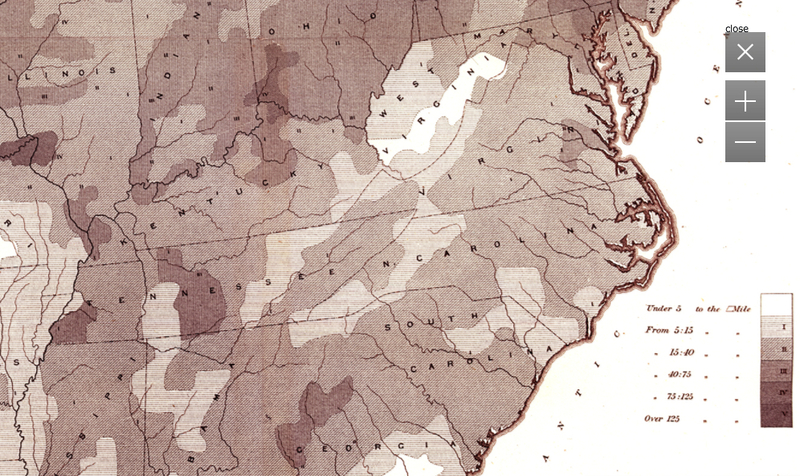 If the nineteenth century America has been often described as an era of geographic integration, perhaps no one more than the ambitious statistician Francis Amasa Walker created a new way of seeing the nation that foregrounded both the local differences that continued to divide the nation, but staked out the challenges for integration that the country faced in geographical terms. 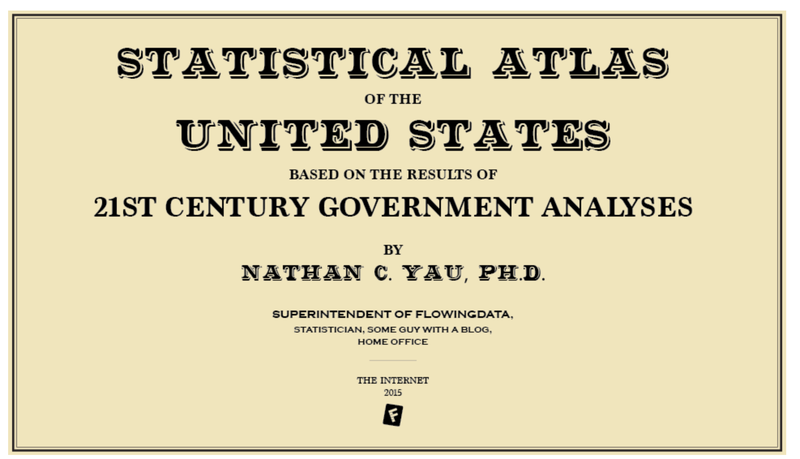 His extremely influential 1874 Statistical Atlas, based on the unprecedented 1870 US Census that he directly supervised and made the case before Congress about the undeniable need for funding, whose maps created an image of the challenges of national unity that remained in the republic in the wake of the Civil War in which he had fought: the Statistical Atlas extends the enterprise of the expanded Census, validating how statistics present a synoptic picture of the political economy–illustrating relations of the local to the polity across continuous United States as if processing part of a mental effort of consolidation. 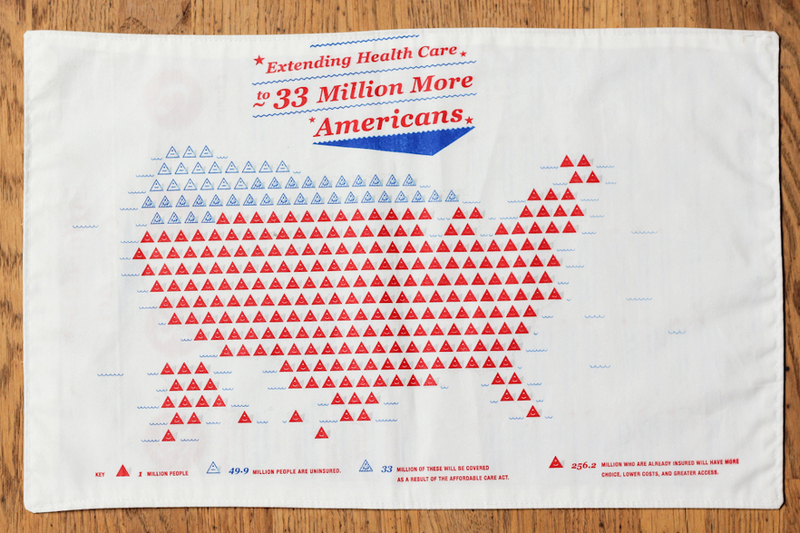 Susan Schulten has recently advanced the quite compelling argument that Walker’s innovations constituted gave the “invention of the infographic” distinctly American roots. Her argument spoke appositely to the almost obsessive return in recent elections to infographics that suggested the likely tendencies of voters, and indeed often reframed a narrative of division into “red” and “blue” states–and even designated some “purple”–in ways that revealed an undeniable undercurrent that verged on obsession of questions of national unity and division that were of the very sort that Walker had similarly sought to address when he undertook the reformation of the decennial Census in 1869 at an amazingly young age of twenty-nine–no doubt with insight as to the ability to advance and illustrate the distinct distribution of space that the nation occupied. 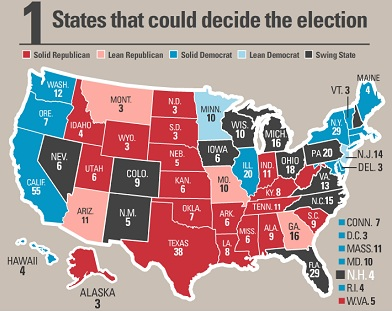 Even as a staggering proliferation of maps of electoral zones flooded airwaves, newswires and web during the 2012 election, Schulten traced the invention of the American infographic to the innovative visualizations of data and government statics by an enterprising statistical mapper who after working to organize the 1870 Census, not only drew up a comprehensive reform of the census but treated its findings to create a “statistical survey” that came to embody the nation’s political and economic unity. While earlier Censuses were strikingly unscientific, Walker advanced issues of political economy in maps as an extension of his expansion of the decennial census, organizing the tabulation of population, agriculture, mortality and manufacturing data on 39 million Americans, and placing prime importance on geographically orienting statistics as tools to better visualize the nature of social and economic divisions after the Civil War in which he had fought and been grievously injured. –to attempts to embody the composition of its human inhabitants whose aggregates were earlier not clearly understood, in what was indeed the first public census to count African Americans who were former slaves as part of the nation’s fabric. Walker’s advocacy of such choreographic statistical maps as snapshots of the political economy led to an invitation to join the editorial board of the New York Times–which he declined, probably since he continued publishing in competitors from Scribners’ Monthly to Harpers’ New Monthly, emerging as a public intellectual of originally progressive bent. 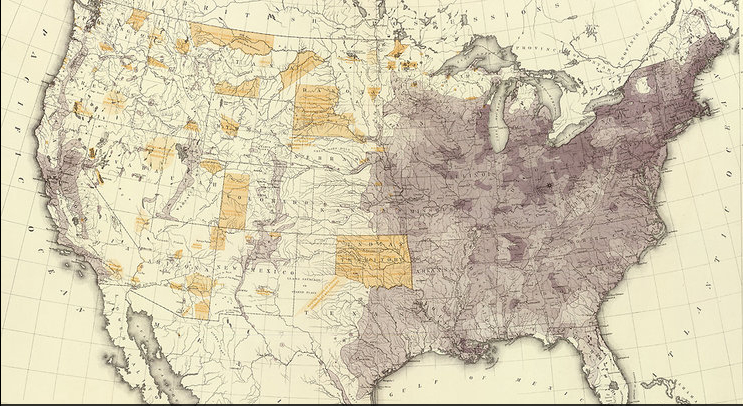 For Walker had convinced the US Congress to adopt a variety of projects that used recent lithographic techniques and statistical correlations to use the results of the 1870 US Census map an coherently compelling image of the nation’s situation for public debate. 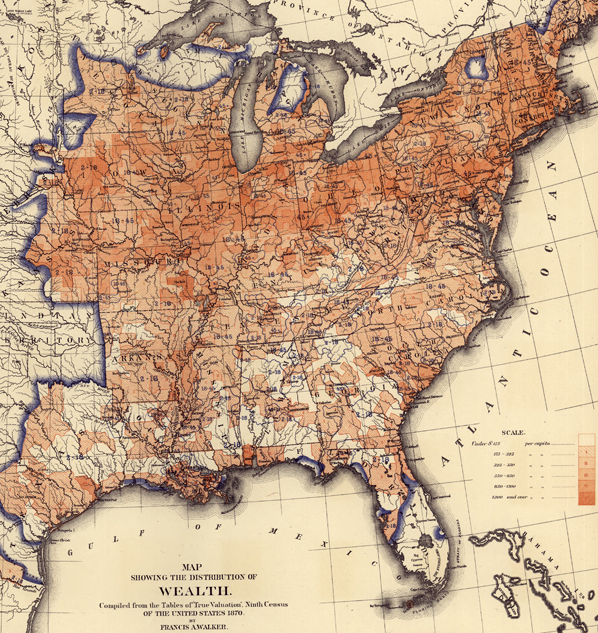 If all maps reflect both the character and competency of their makers, Walker’s maps reflect the excitement and tenacity of mining data from the Ninth US Census of 1870 that he had compiled with congressional authority, compiling, correlating, and refining the image of the distribution of wealth, illness, and health to a degree that had not ever been earlier achieved. He engaged in mapmaking in print as a form of public discourse that elevated the statistical map as a tool for envisioning the nation as an aggregate. Walker’s early involvement with late nineteenth-century newspapers like the Springfield Republican Newspaper as well, from the late 1860s, at the Atlantic Monthly, in fact no doubt encouraged his trust in the power of such organs of public debate–and the power of printed supplements based on the US Census, several of which he published for Harpers’ New Monthly, as well as in Scribner’s Monthly, The Century and North American Quarterly, in ways that no doubt led to his conviction in the infographic as a way to shape public debate on political economy, population density, home servitude, and the working classes. Walker’s position as Chief of the Bureau of Statistics and Taxes may have helped him use his position as Superintendent of the fifth US Census at just twenty-nine to present the project of the first Statistical Atlas of the country, a project which he expanded in the 1880 Census, whose unprecedented twenty-two volumes collected an even greater range of information than ever previously collated and greatly refined the unscientific nature of previous decennial censuses. Francis Amasa Walker saw the U.S. Census not only as a way to view populations of states, but to expand the vision of and the likeness of the nation by the more arduous measure of density per square mile, and to then use that image to chart the distribution of the national population as a demographic tool. He worked with the census to conceive of the map as a measure for mapping complementary sets of data, by mapping relations between density and select quantifiable variables, mapping population density against wealth distribution, literacy, childbirth rates and disease–but not voting preference–in maps that created a legible record of the country, whose public good he convinced the US Congress to fund Atlases in 1872 and 1873. By transferring statistical observations into a detailed picture of the nation, he began from a base layer of the contours by which its population was distributed, without focussing on jurisdictional bounds, in ways that effectively augmented the independent authority of maps as media of sociological investigation and public communication to an extent that had never before been the case, but established a central place for detailed choropleths in the American Grain. 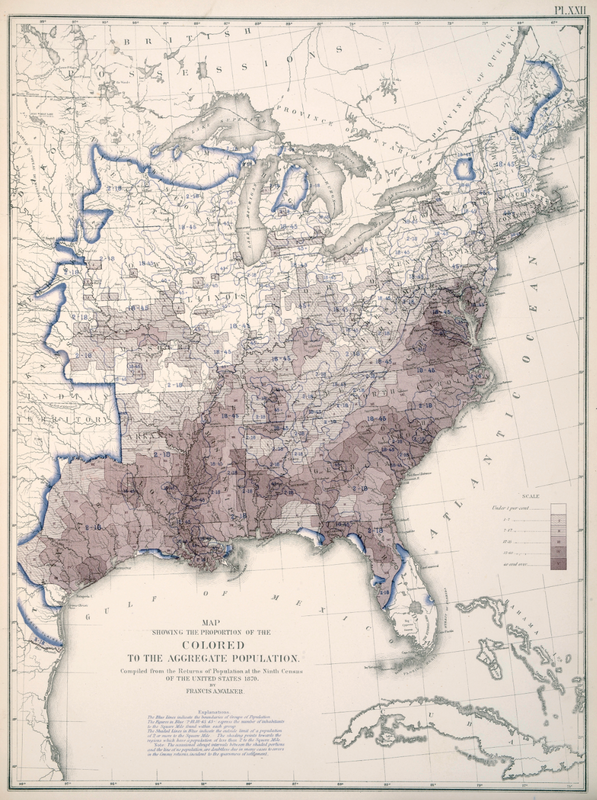 For the first time, they also offer a mode to integrate African-American former slaves within a national economy, and posit a detailed, comprehensive and analytic image of population density across the north and south that suggest the value not only of statistics but of imaging the nation and its divisions in a decennial census. The embodiment of issues formed as Assistant Secretary of the Treasury placed issues of political economy before the eyes of their readers in especially effective ways. The fine grain of variations provided a new way to look at the nation, as the compelling lithographic choropleths of Alexander Bache, by using line-engraving to chart the population rather than topography as their concern, or coastlines or hydrography, than the shifts that the 1870 census revealed. If riverine paths were noted, the South looked distinct when one saw the vast “gaps” or absences of population in much of the rural areas of Kentucky, Tennessee, and Georgia, and indeed the concentration of the population most entirely along rivers where agricultural trade grew. 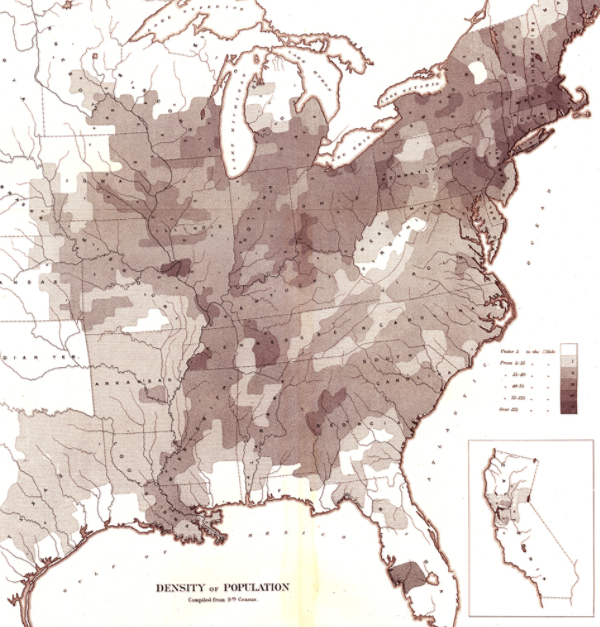 The image of population density dramatically grew in Ohio, Indiana, and Illinois, in ways that charted the new image of the nation, and must have posed questions of how population density mapped onto the distribution of wealth, or, an extension of it, childbirth rates, in order to refine and better understand the picture of national population it put forth. 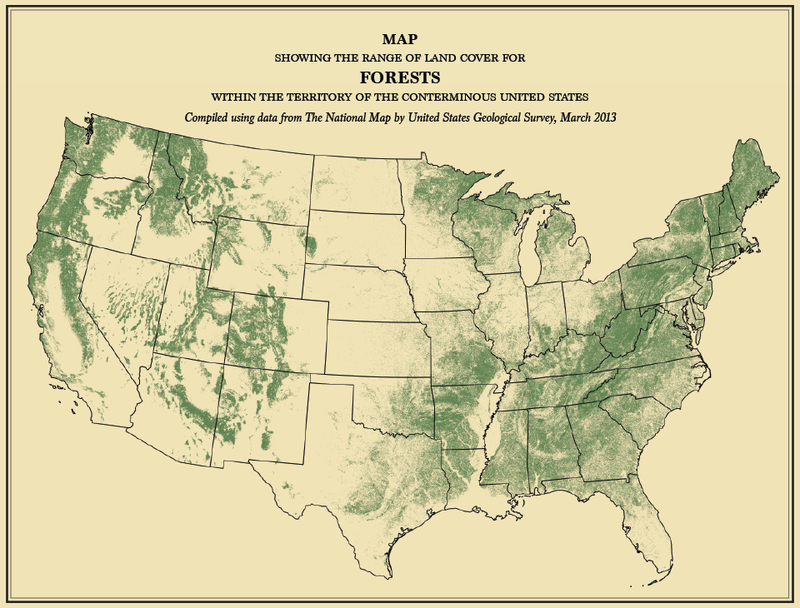 The sort of graduated shaded in maps that Walker created provided something of a counter-map to the symbolic uses of mapping as a way to envision national unity, and pinpointed questions of the intractable nature of differentials of wealth. If pockets of wealth extended deep West into Iowa and Kansas, and lit up Illinois, Ohio, and Pennsylvania in deep auburn hues, the Mason Dixon line was a divide in how wealth was distributed whose light ochre and pockets of white were rarely interrupted by redoubts of wealth, almost entirely along the coast or select segments of the Mississippi River. 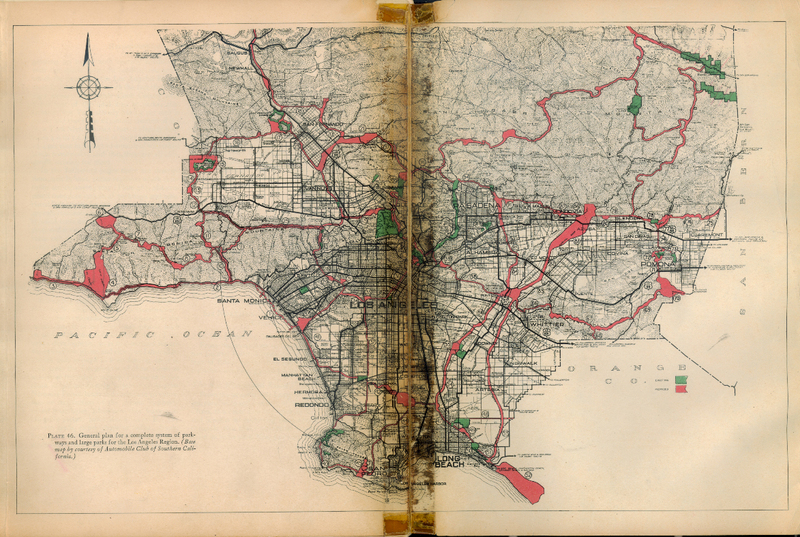 His maps adopted the recent precision of mapping population density against its distribution that had been pioneered by Alexander Bache’s compelling visualization of the records of the 1860 Census with the German emmigre engraver Edwin Hergesheimer. The detailed cross-tabulation of population and wealth seems a bit of an odd ancestor of the modern infographic, although their kinship is clearly recognized. For the image of Walker demanded the sort of detailed attention as a picture of the nation to which the compacting of information or metadata in the range of infographics generated by GIS programs rarely provide. If Walker anticipated GIS in a fashion, the rapidity of generating the infographic that synthesized metadata with amazing facility and rapidity rarely demands the sort of attention that Walker’s images command. 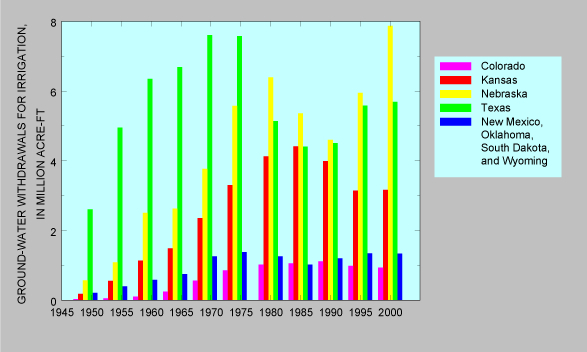 In part, the lithographic medium habituated viewers to the parsing of refined distinctions in the economic landscape that variations of shading revealed: the starkest of our blue/red maps with some pink or light blue question marks are removed from the fine-toothed sort of distinctions drawn in the census, or from a similar statistical subtlety. But the proliferation of the infographic so readily produced and tabulated provides less of a reference tool than an attempt to hold onto the permanence of a snapshot provides within the rapidly shifting and changing landscape that often seems adrift in the electoral sea. The questions that Walker asked–distribution of wealth, literacy, disease rates–are rarely raised in the infographics we see most frequently, even excepting Fox News’ proclivity for the infographics that perpetuate stark divisions. The ‘mediazation’ of the modern infographic as a labor saving device not for observers, but whose construction demanded a more limited investment of detailed attention, has created a new assembly-line production of images of limited refinement, whose authority rests on their mapping substrates, rather than on the measurements they mediate and encode. These pilfered objects are a bit extreme, but their divorce from any sense of geographic meaning is somehow telling. Sure, these are something like visual jokes, but they make the point I want to make about the liabilities and deceptiveness that the using maps to organize contemporary infographics reveal that adopt maps to bolster their suasive abilities as much as frame a problem. 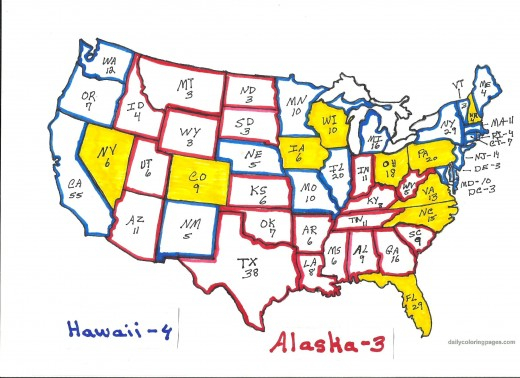 The mock-maps–the second based on an episode of Ira Glass’s “This American Life” by E. J. Fox, from a series he titles “This American Infographic”– illustrate the problem of the need that cartographical infographics fill, of both adopting the authority of the map (without containing much geographic information) and of using it to display the ready access to metadata that most images of GPS presume–or, in the most banal but most common case, the weather maps on the Weather Channel–and that most folks expect. 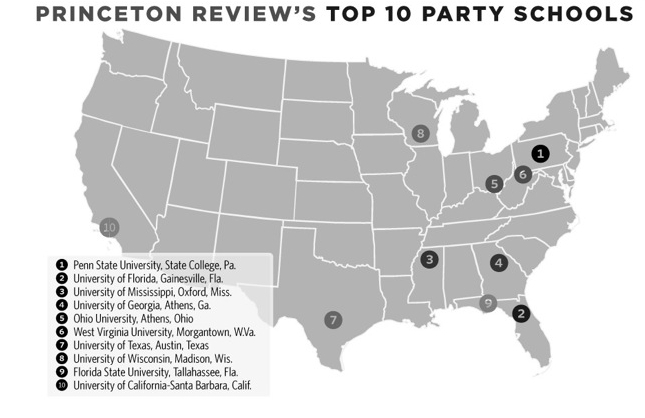 Data-mining becomes replaced by graphic design tools imported from the world of advertising, and the maps are a blunt instrument to make blunt arguments, or present an image of the status quo: the big parties happen at big state universities. Maps are especially powerful tools to process information for viewers. Some less ridiculous examples of infographics reveal some surprisingly similar attempts at using mapping forms or mapping syntax to preserve an illusion of omniscience and often to illuminate or make a comment about national unity. 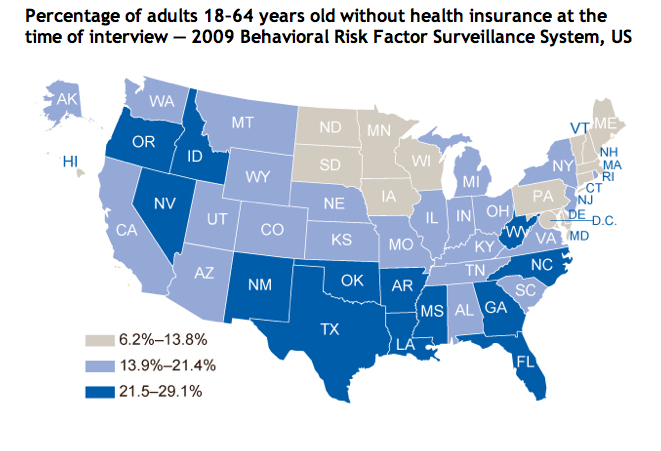 But they also often use maps in ways that, unlike the maps derived from government censuses that Walker examined with considerable care to demographic variables, conceals an absence of analytically meaningful argument. 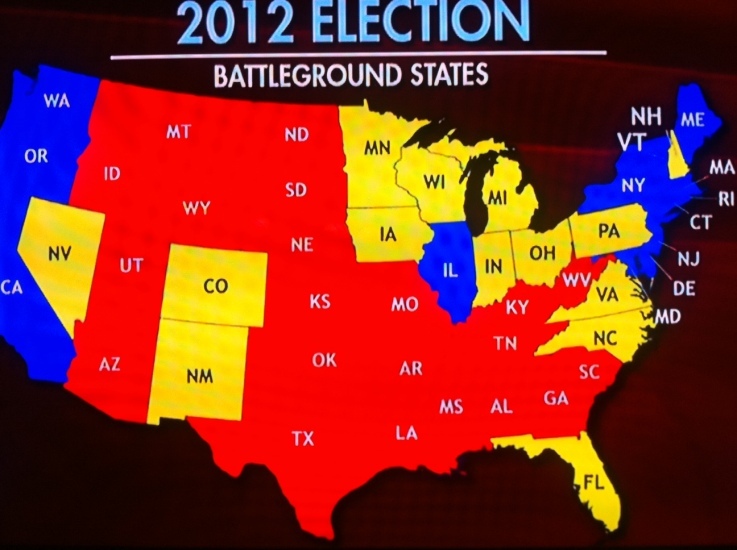 They treat the map as a form of metadata that reduces analytic specificity–from a map of the “battleground states” that effectively uses a format of mapping in order to suggest either the limited support for the Democratic party in the nation (by using a shade of yellow closer to red than blue) or indicate the deeply flawed nature of the democratic process to their viewers. The greater refinement of other maps that shaded “tending towards” in lighter colors foregrounded the unpredictable nature of voters’ preferences, more than the composition of the electorate, as they seem to table the question of national coherence or cohesiveness as a whole other issue. In each of these admittedly varied cases, mapping indicates an aura of accuracy or invests a sense of stability in the face of indeterminate data. The map is a totem by virtue of its processing of information from varied diverse sources, but the map blunts potentially far more precise tools that seem to divide the polity and focusses on electoral results. The questions of numeracy that divide the nation are less based in a tabulation of data or statistical familiarity; the block-hues of states mute meaning analysis. In part, ideological differences are just not that pronounced, and the maps are oriented to processing polling numbers that were changing like a stock-market ticker-tape, rather than providing a firm basis for a national portrait. But the father of the infographic would most certainly not be pleased. The adoption and diffusion of mapping forms in infographics provide metadata constructions perhaps most significant for how they quash related questions or discussions, by ordering a massive amount of data whose impression of preponderance is more likely to take away one’s breath than pose a question, and is almost always likely to conceal an argument. To some extent, of course, the new elevation of infographics is the creation of the new media economy. There’s an odd dynamic of devaluing of the analytic power of the map at the same time as elevating its explanatory power. The map, in an age of reduced news content, seems to substitute for the strength of an analytic news story, as a GPS program produces a snappy infographic that seems both content-heavy and a pleasing amuse-bouche. The need to process different news sources or on-the-ground informants might be both excused and avoided, where we can come up with a symbolic rendering of what happened, even if we don’t need to look so closely at what its causes or its actual ramifications were. The absence of analytics in the infographic–which presents, as with the weather, the state of things as they are as an actuality that does not need further analysis or attention to local variation–is perhaps its most pernicious feature as a medium. They stand at a remove from the maps that the great nineteenth century statistical geographer Francis A. Walker so valuably labored to design. 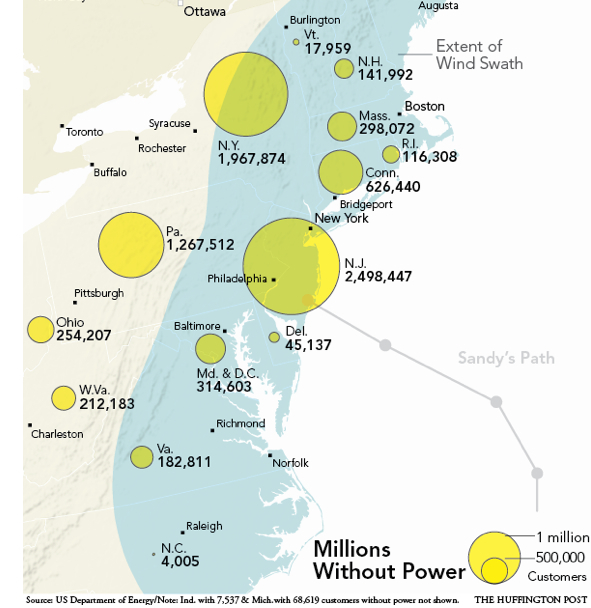 There was a similar crunching of numbers at a remove from individual experience of tragedy in a map of electric outages suffered as a result of Hurricane Sandy, providing a purview of outages from Augusta to Raleigh. 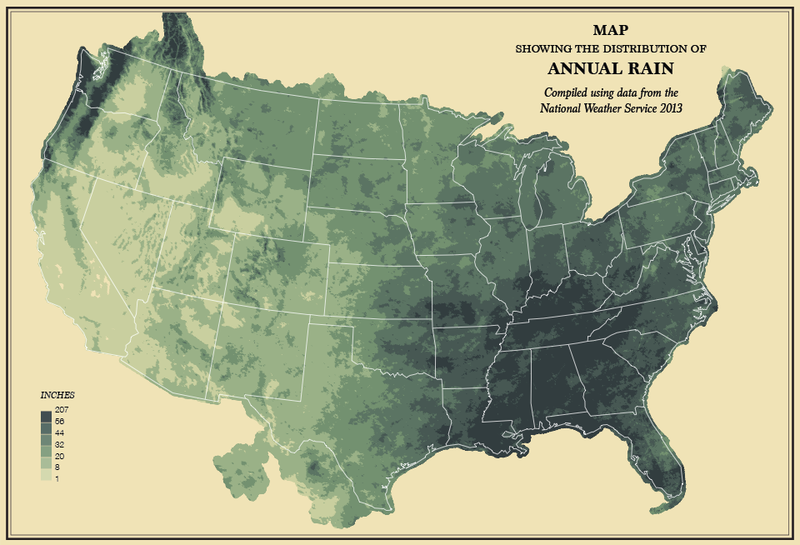 The map is powerful and striking, but also elided the stories of its destructions or narrative of its meteorology with an easy infographic of a sort of least common denominator to everyone can easily relate of the lights going out. These maps erase their inhabitants. So what, then, we might ask, is the territory? 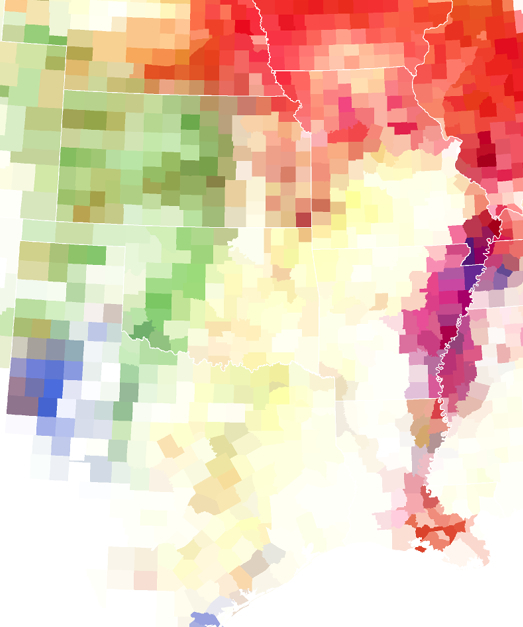 The ghost of Walker, and continued prestige of his aesthetics, have led Nathan Yau of Flowing Data to provide a comparable set of visualizations that embody our national territory, based on the ongoing statistical surveys of the American Community Survey of 2010, to “revive” the project of a Statistical Survey in the footsteps of his august predecessor, noting with some evident pain the absence of any plans by the US government’s Census Bureau to produce one after 2000, perhaps due to the high costs of the Census itself–and the recent Republican-led effort to even claim that the decennial Survey is an unconstitutional invasion of privacy–even though it provides the best basis for the apportionment of government funds, and one of the clearest demographic portraits of the country–that tarred the survey in no uncertain terms as “intrud[ing] on people’s lives, just like the Environmental Protection Agency or the bank regulators,” according to Daniel Webster, an inspiringly named first-term Republican congressman from Florida, who questioned the random nature of the survey as illustrating its “unscientific” value, despite its assessment of over three million American households in considerable demographic detail about their occupations, housing, literacy, languages spoken at home and at work, and levels of education, as well as their approximate computer use. 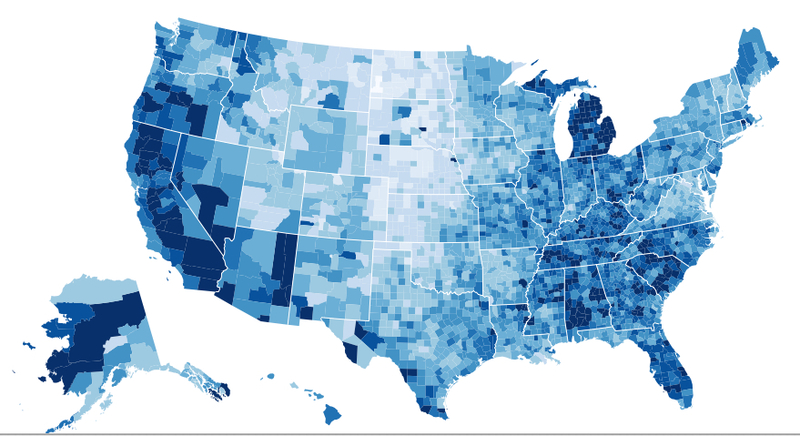 Perhaps with some premonition of the dangers of resting our democracy on the thin infographics consumed by watchers of television news, the self-published Survey Yau published online imitated the august elegance and clarity of Walker’s maps to point up the absence of needed visualization of the data that the Census compiles. The images–able to be bought individually as posters–suggest the deep presence of Walker’s idiom of visualization within our current media circus, when the proliferation of news maps from various outlets and Graphics Depts. seem dislodged from the interest of the public good. Yau’s project was may seem to have obviated need for an impartial assessment of all the data that the Census compiled. Indeed, while the Times, which once offered Walker a seat on its editorial board, created a brilliantly colored set of interactive visualizations based on data from 2005-9, Yau offered nostalgic images that embodied the images of the nation that the government has puzzlingly withheld, with climatological and agricultural data that provide a similarly detailed atlas of the coterminous United States which, in an age overflowing with data visualizations, remind us of the need to preserve a picture of the nation to ensure we keep the public informed. The data waits to be visualized, and the simple monocular visualizations capture its complexion with quite understated elegance. 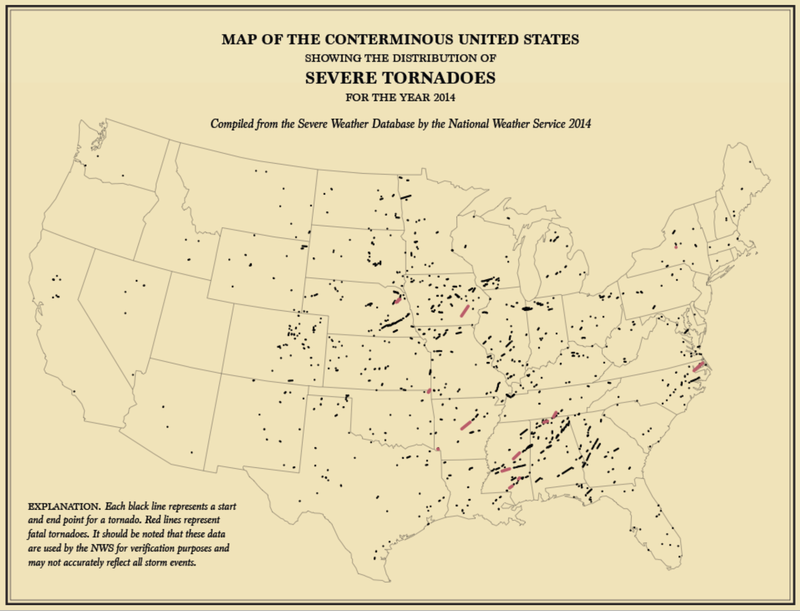 While less rooted in concerns of political economy, the visualization hearkens back to a unified choreography that we often seem to lack–even if it only pictures tornadoes–in ways that go beyond the existential qualities of weather maps as records of the present day.